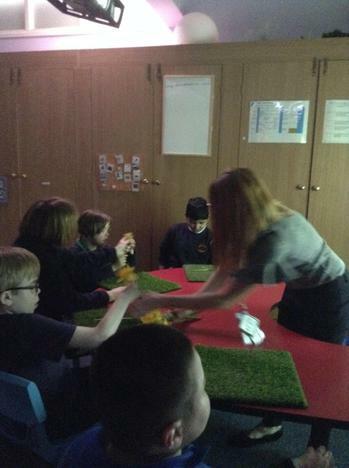 During this term we have continued with our topic of 'Food Glorious Food' as we still had so much to learn about and the children were enjoying it so much! 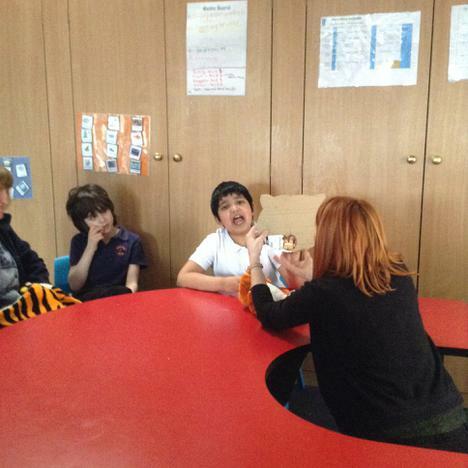 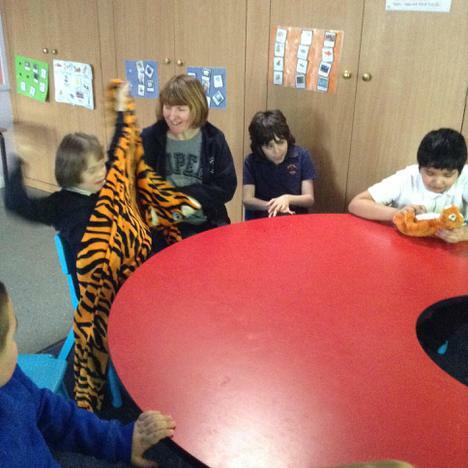 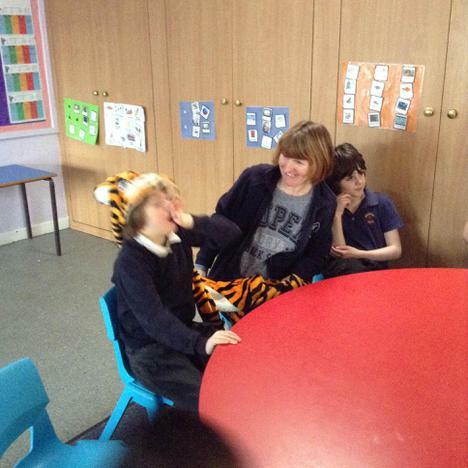 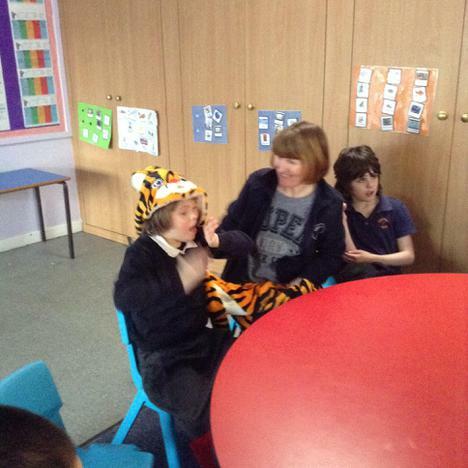 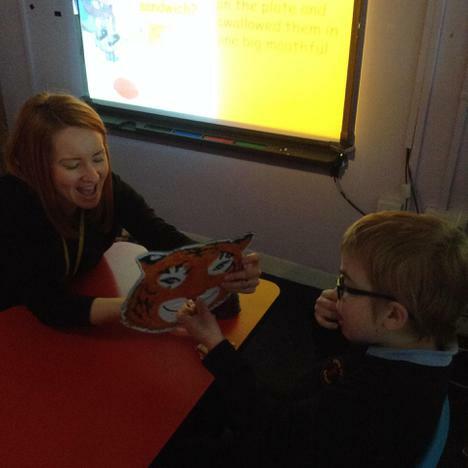 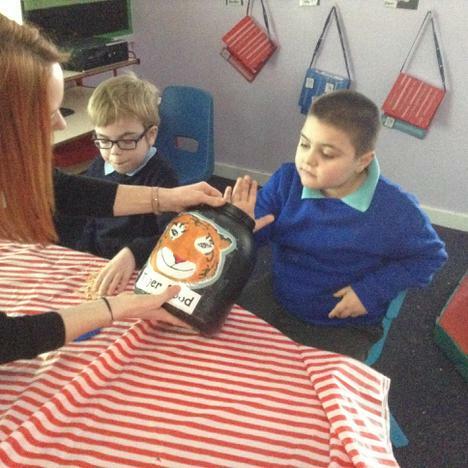 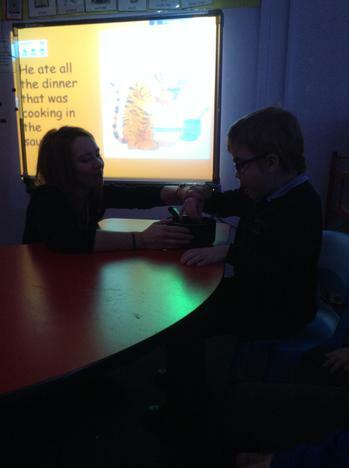 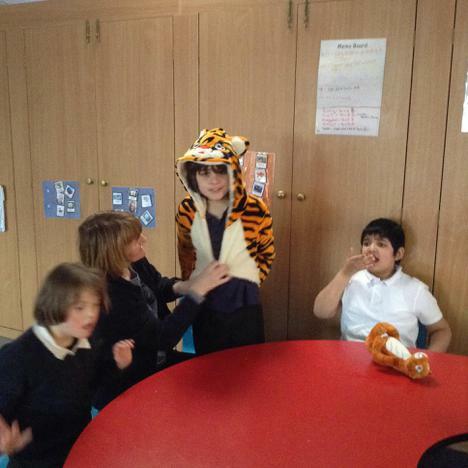 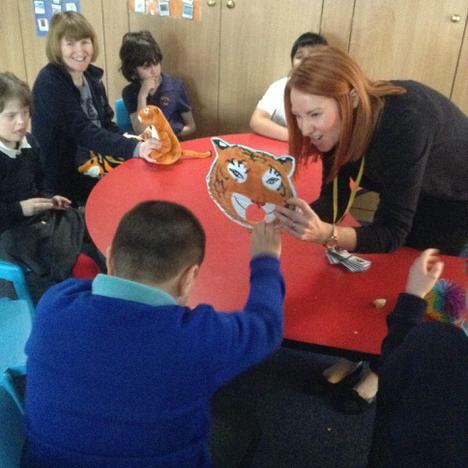 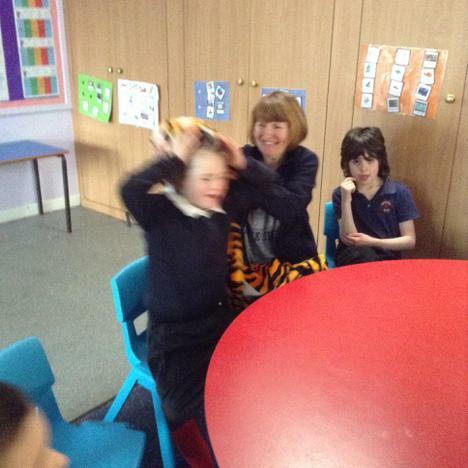 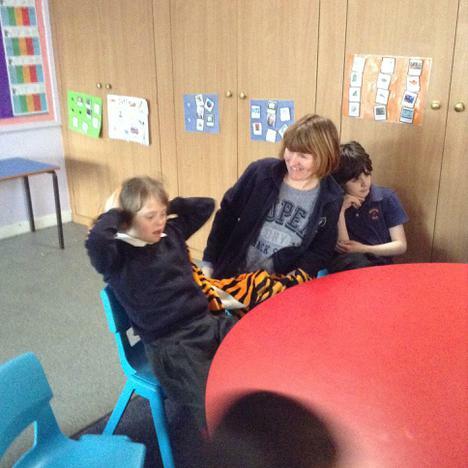 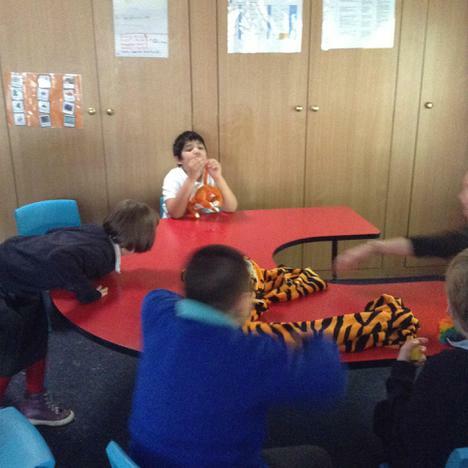 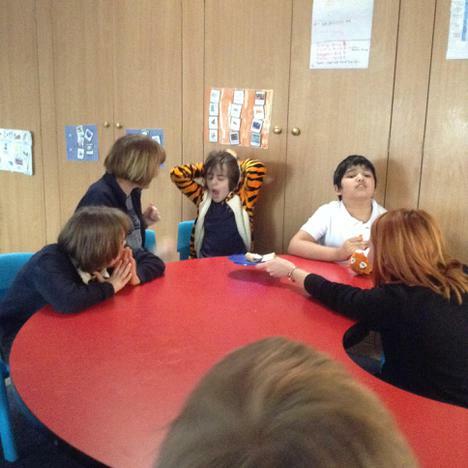 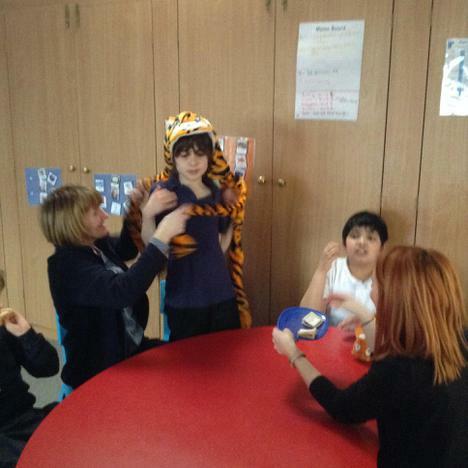 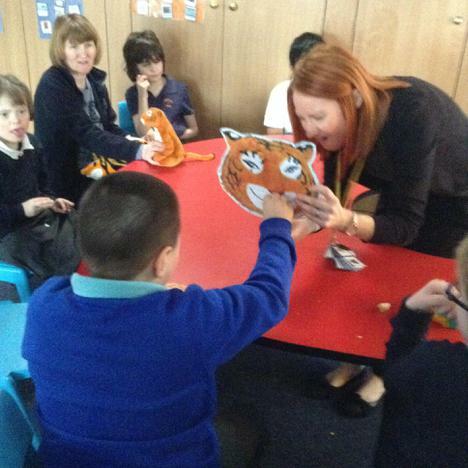 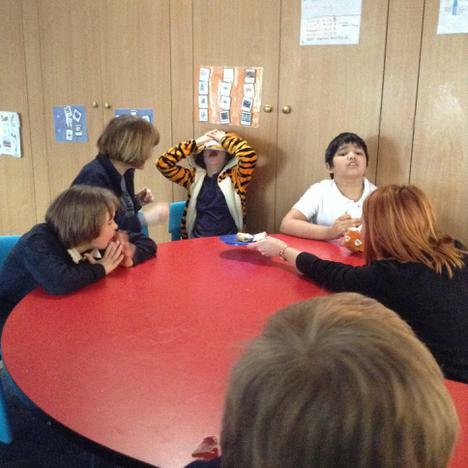 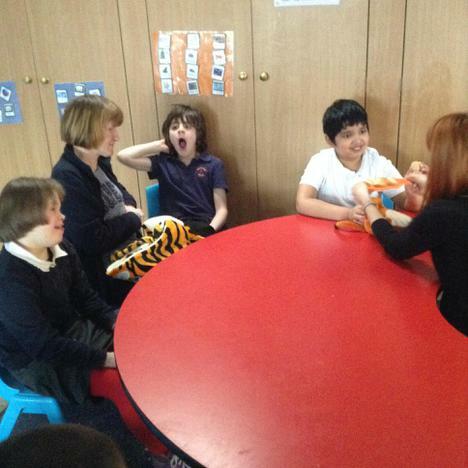 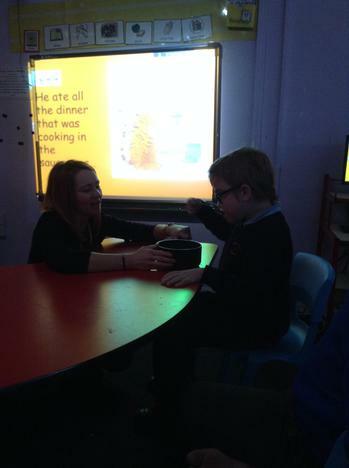 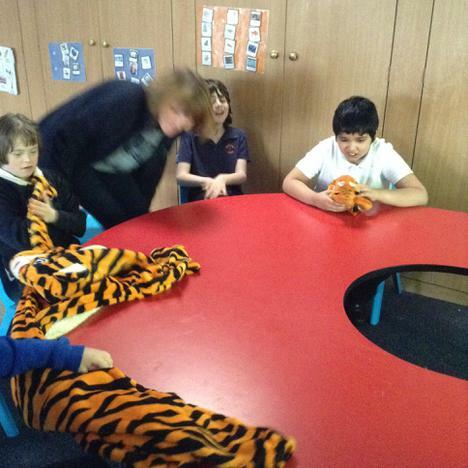 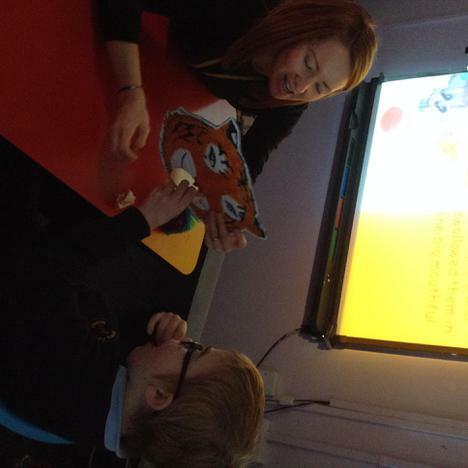 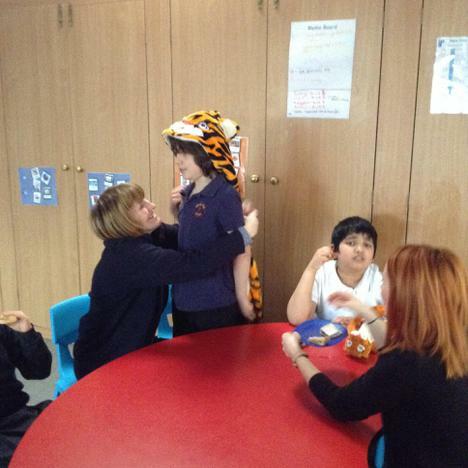 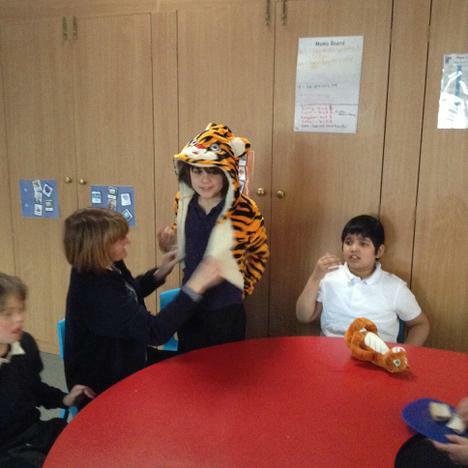 Our new sensory story was 'The Tiger who came to tea' which featured tigers to feel, different food to taste such as sandwiches, iced buns, crisps and noodles. 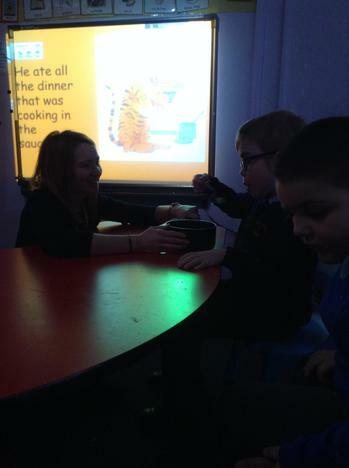 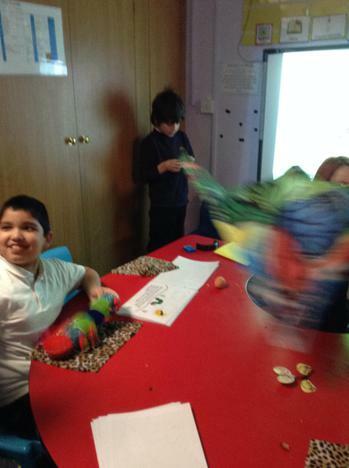 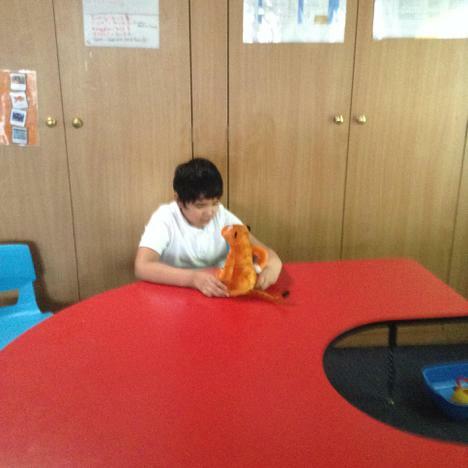 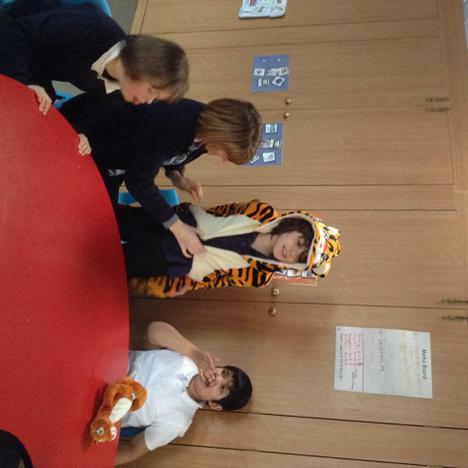 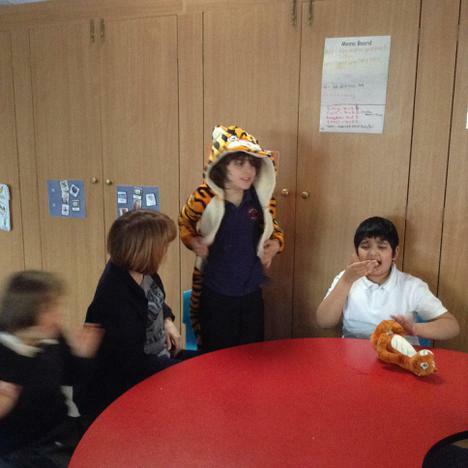 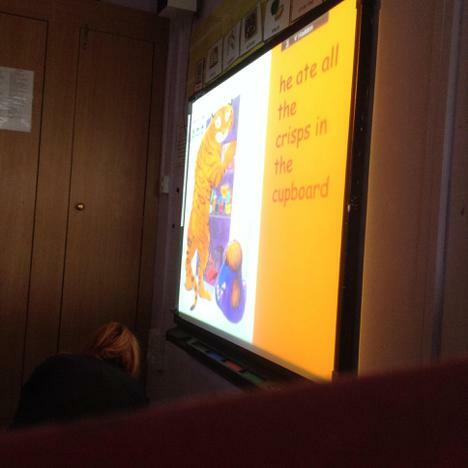 The children responded really well to the story and were excellent at following instructions such as pressing the doorbell, posting food through the tigers mouth and giving the toy tiger some tea using a teapot. 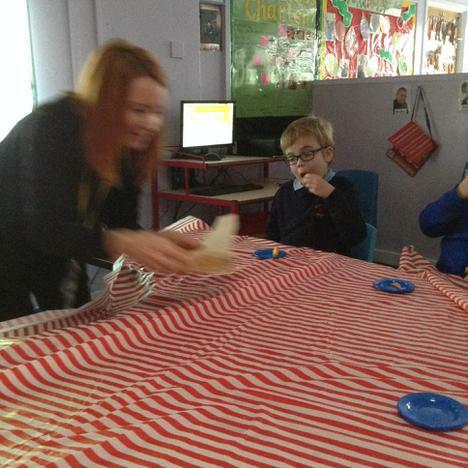 At the end of the story, the class was transformed into a cafe and the children enjoyed some tasty chips just like the characters in the story. 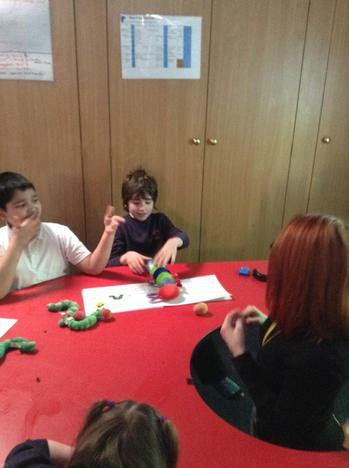 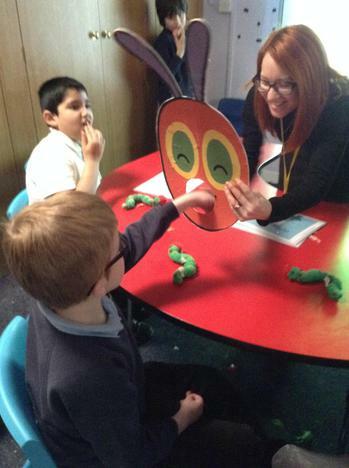 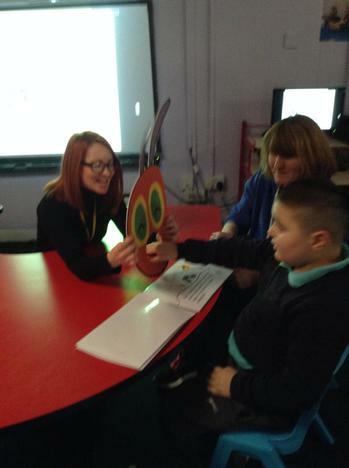 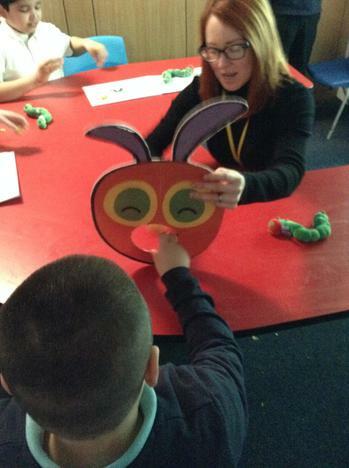 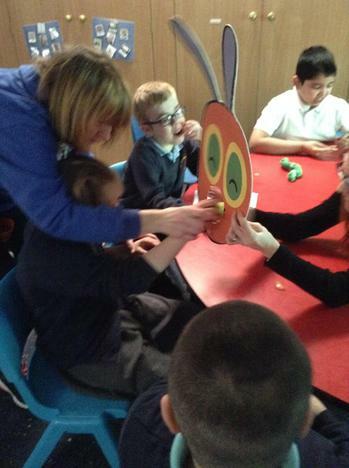 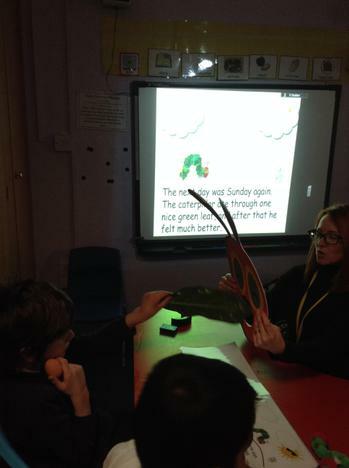 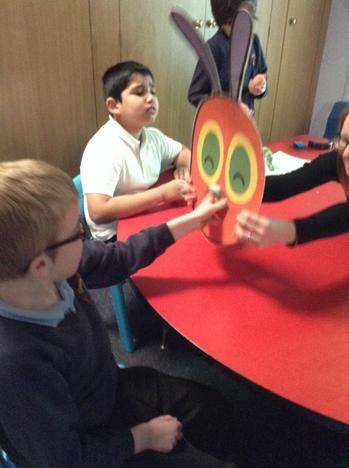 Our sensory story this term is 'The Very Hungry Caterpillar'. 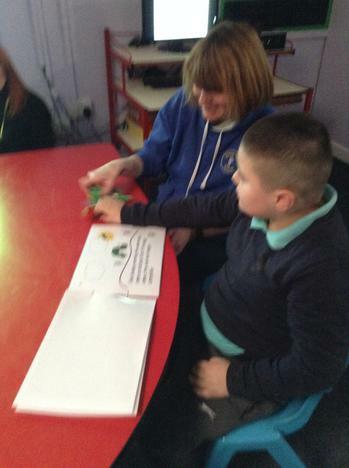 The children are really enjoying learning about how hungry the caterpillar was and the different foods he eats along the way. 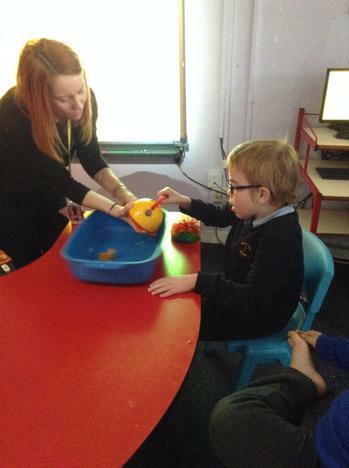 The children have been working on following instructions during this session such as posting the fruit through the caterpillars mouth and wrapping up the caterpillar in his cocoon. 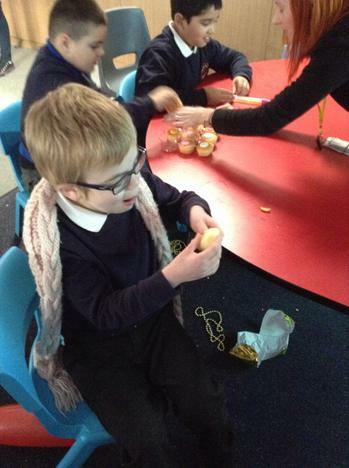 There are also lots of yummy fruits to taste along the way. 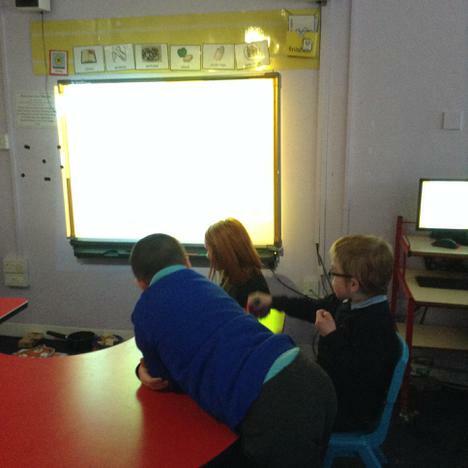 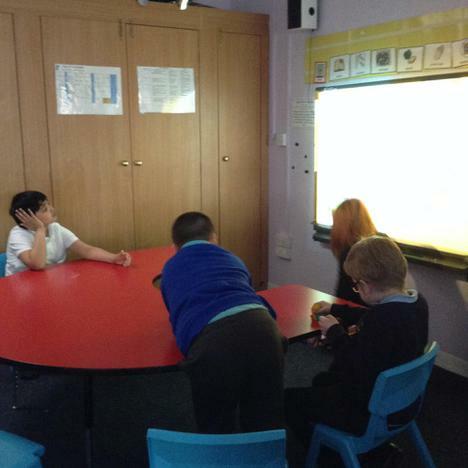 Some of the children are also following the story on the screen with their own printed copy of the book, working on their pre-reading skills. 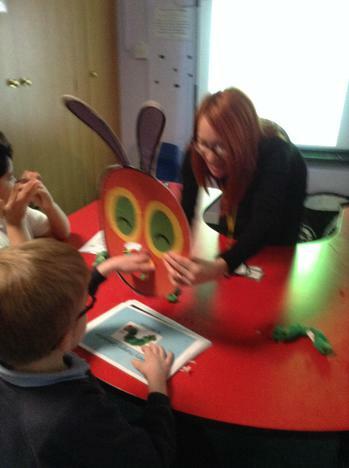 All of the children enjoy watching the transformation of the caterpillar into the beautiful butterfly at the end of the story. 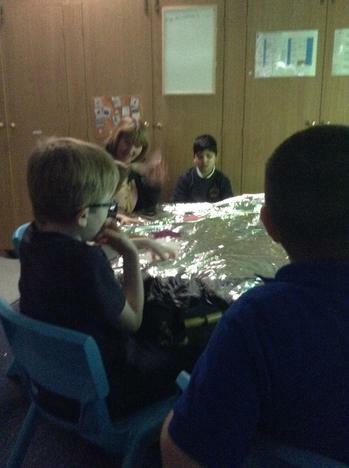 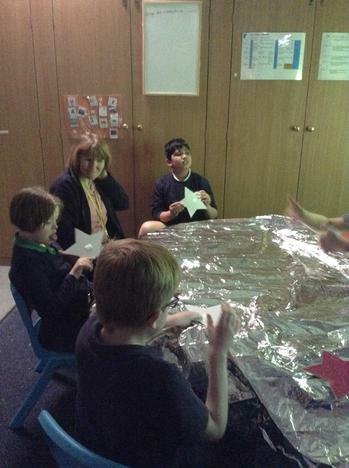 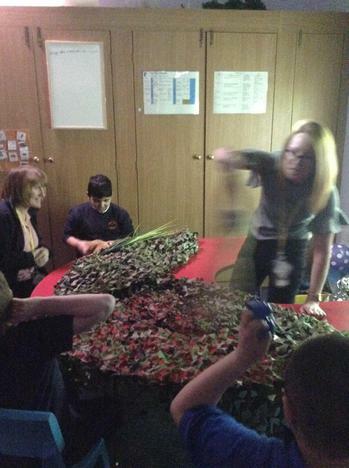 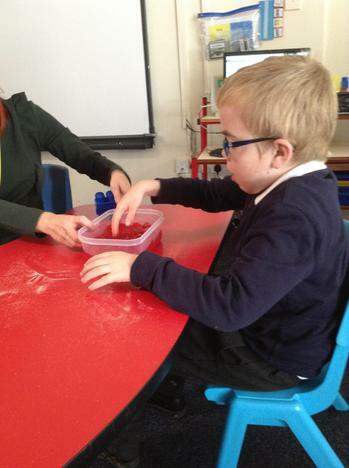 Our sensory story this term is all about Celebrations. 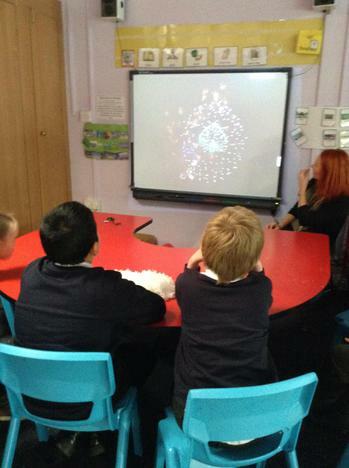 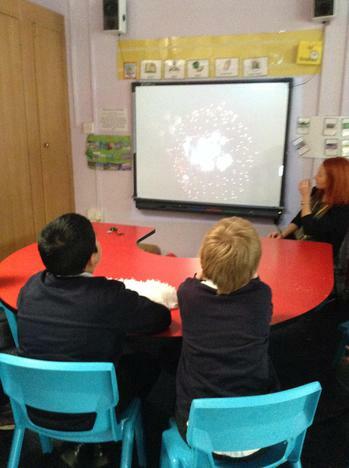 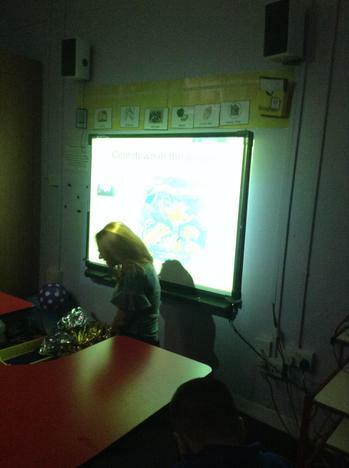 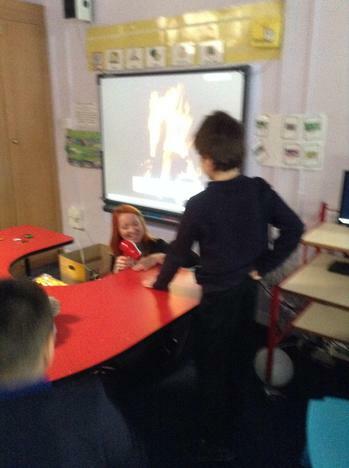 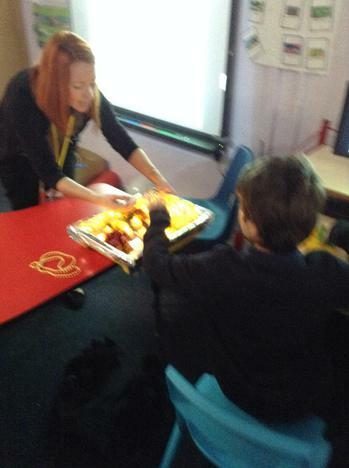 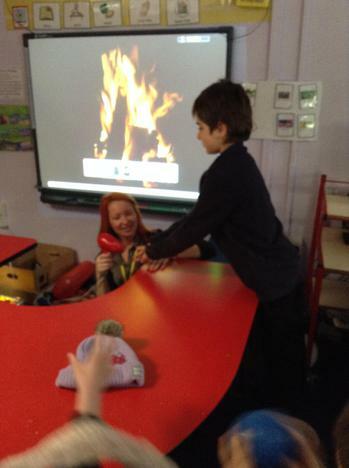 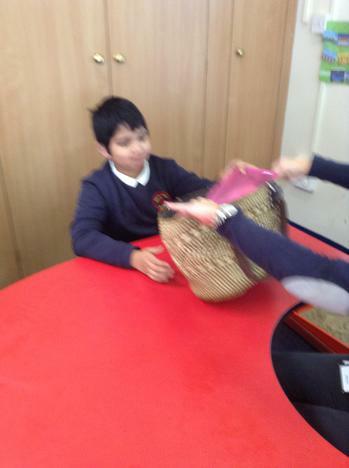 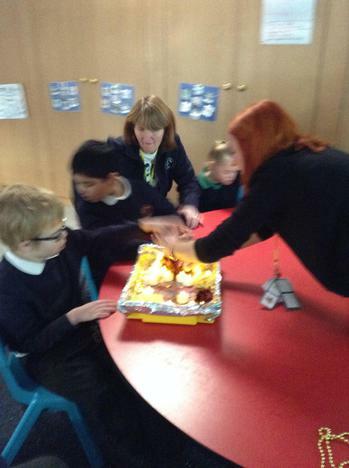 During the story we learn about Diwali, Bonfire Night and Birthdays. 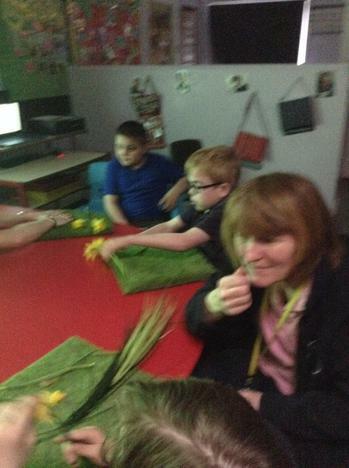 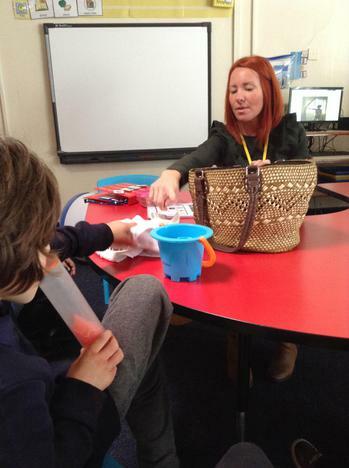 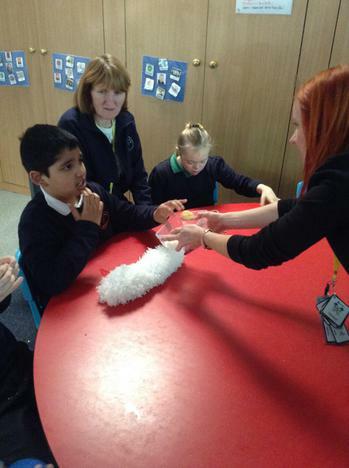 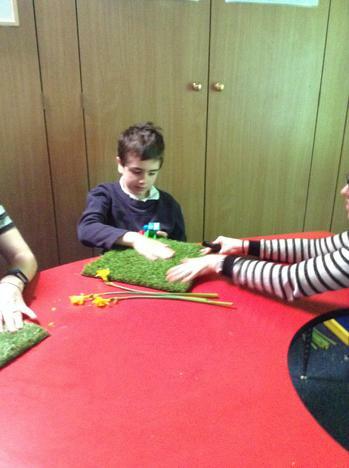 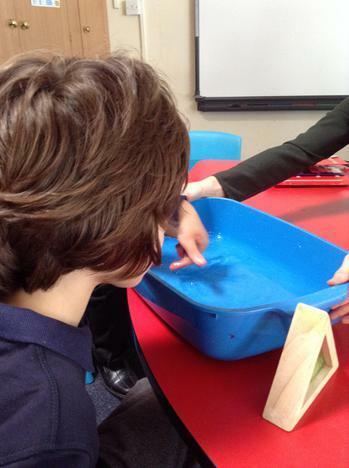 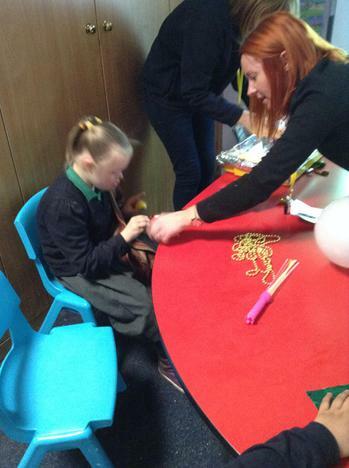 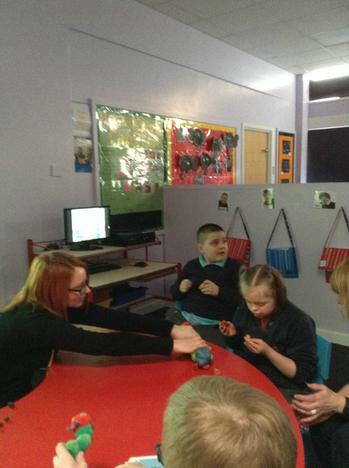 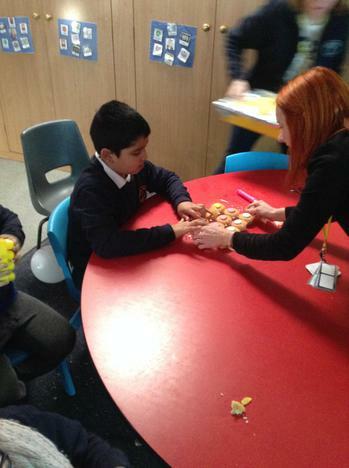 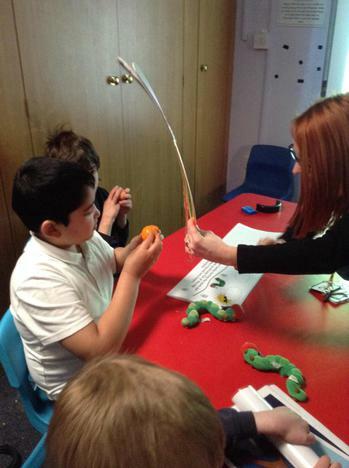 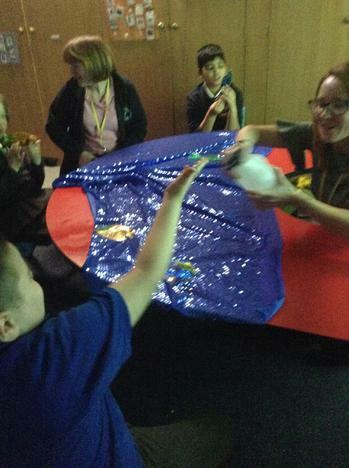 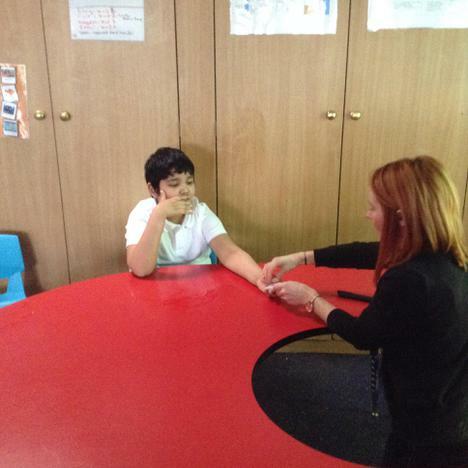 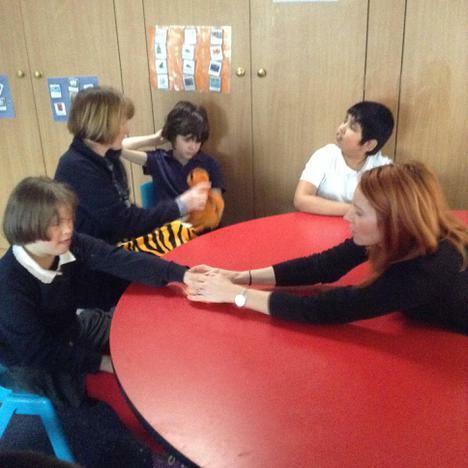 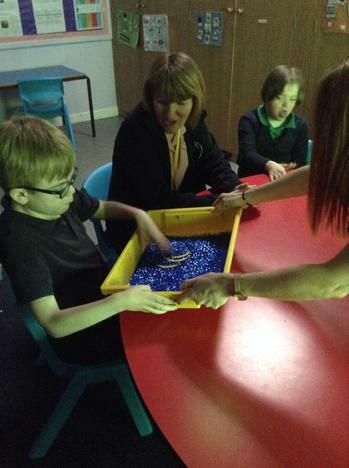 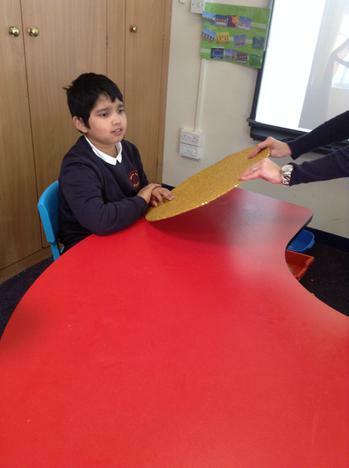 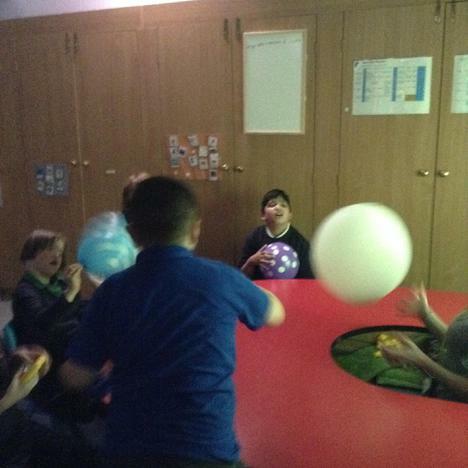 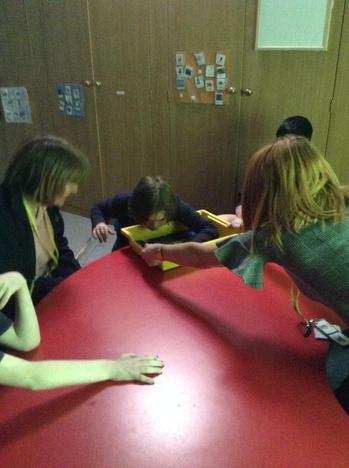 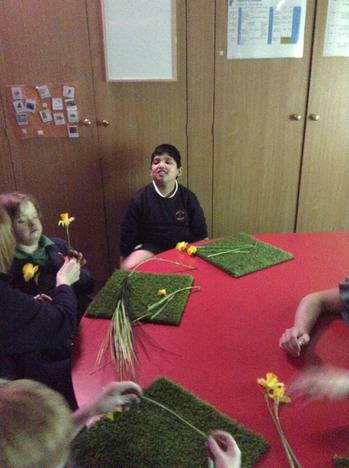 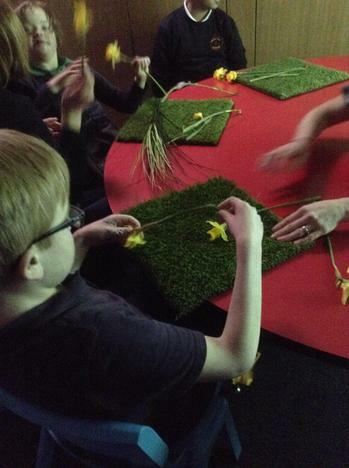 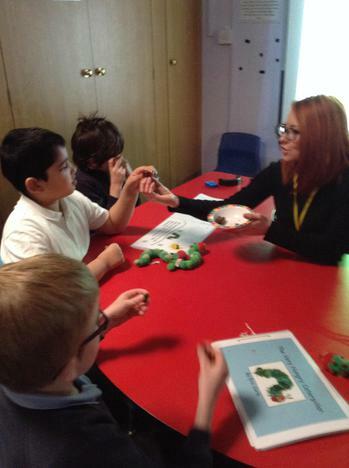 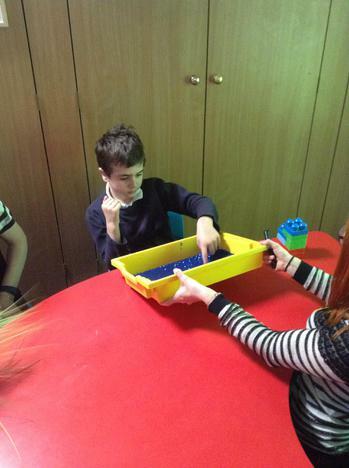 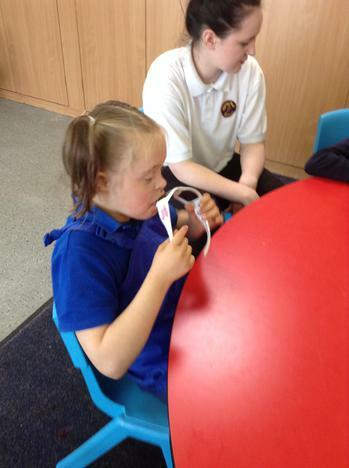 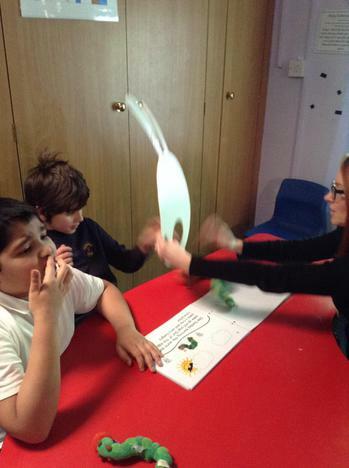 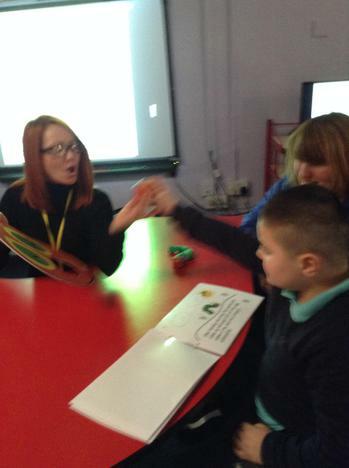 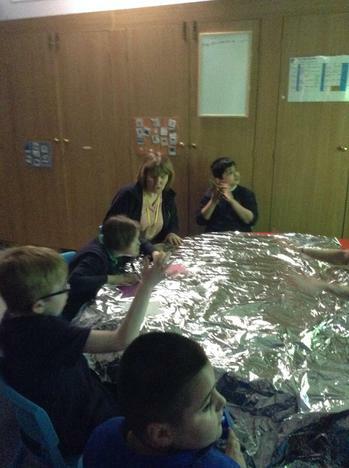 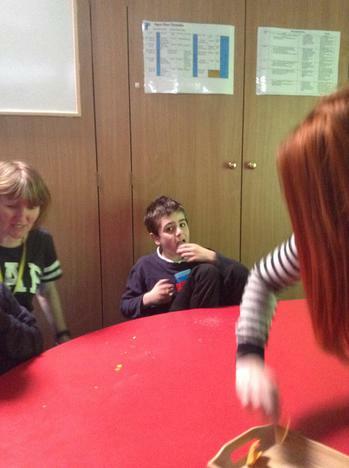 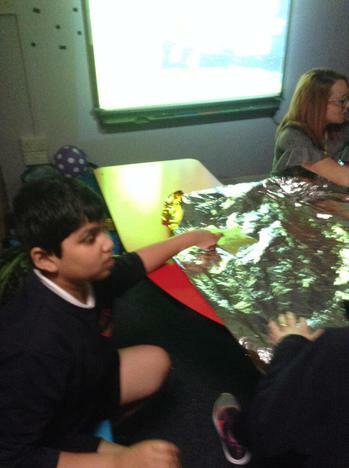 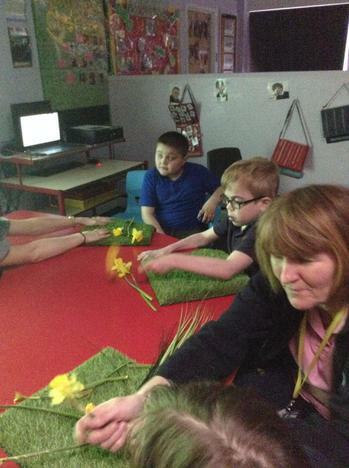 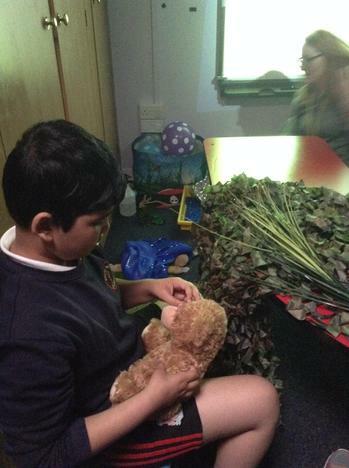 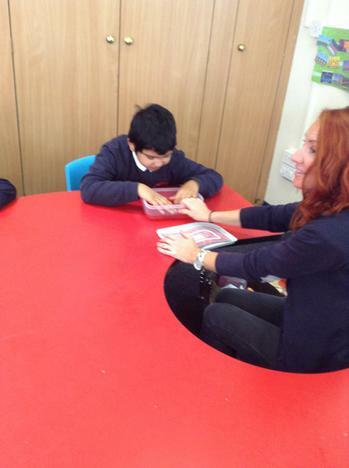 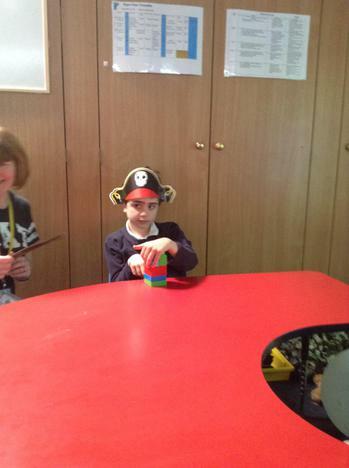 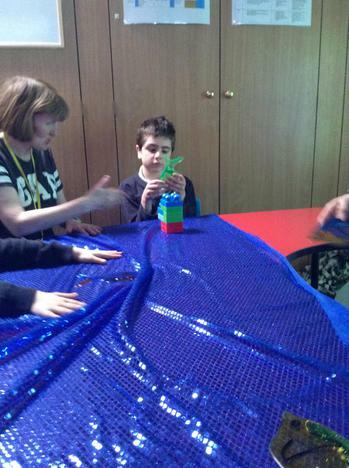 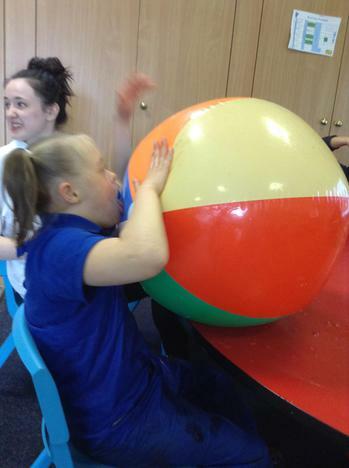 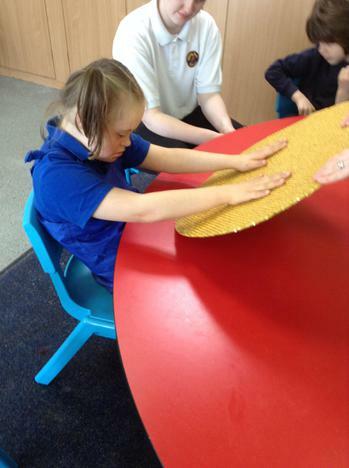 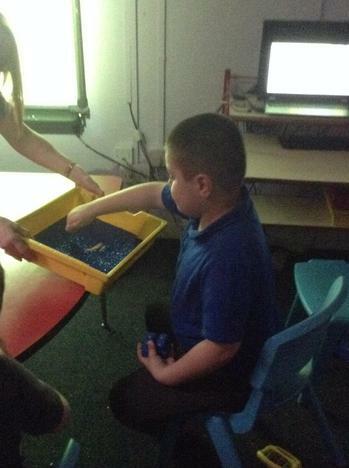 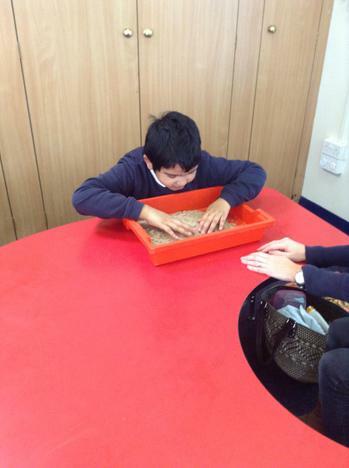 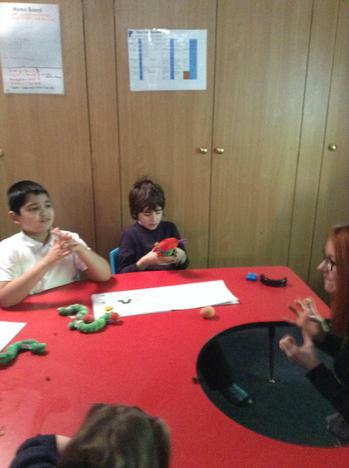 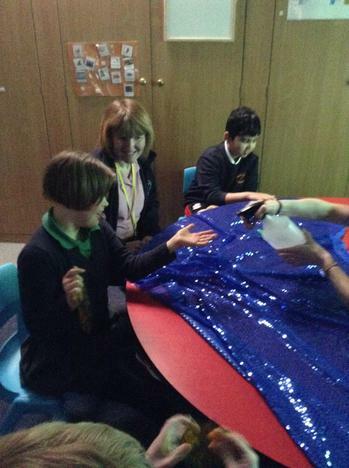 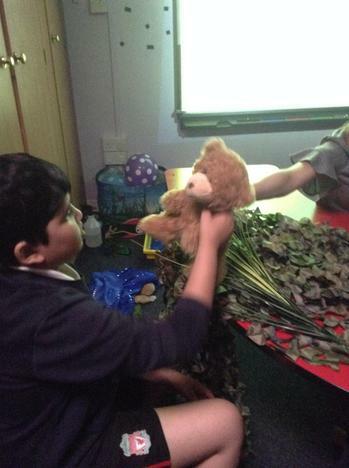 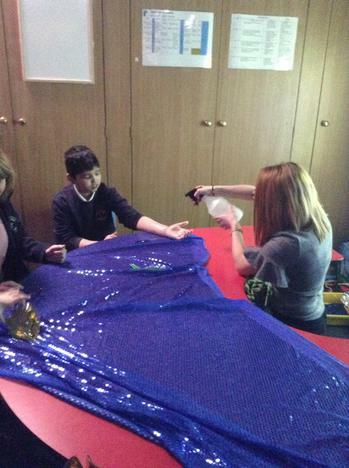 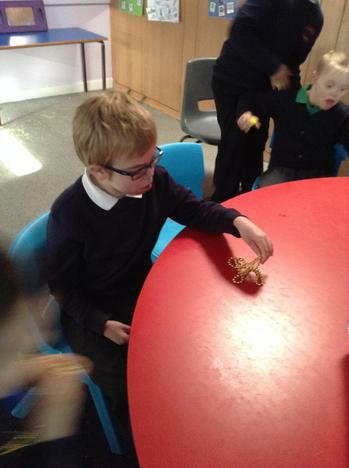 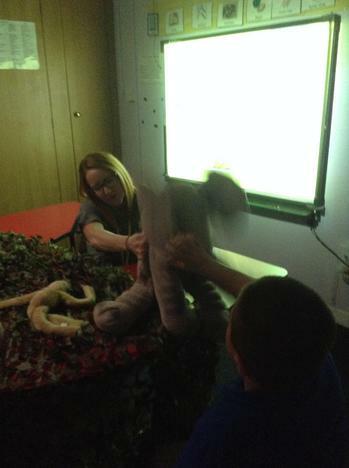 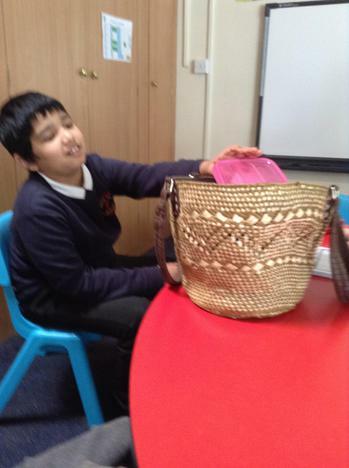 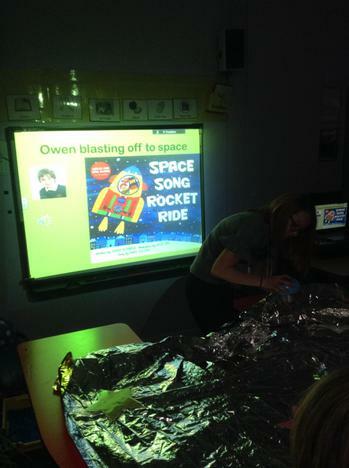 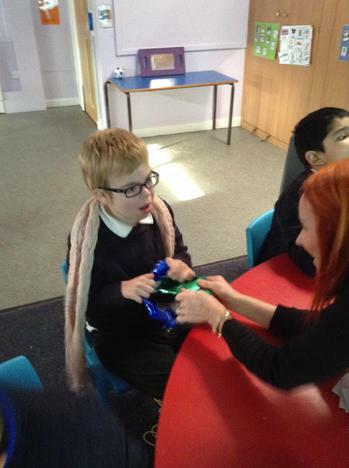 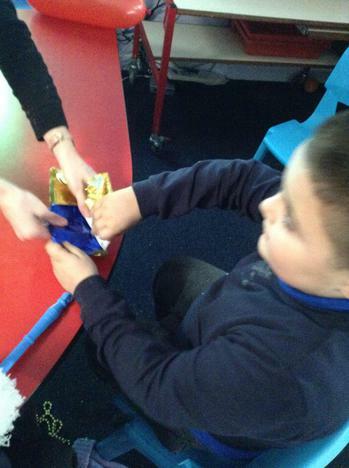 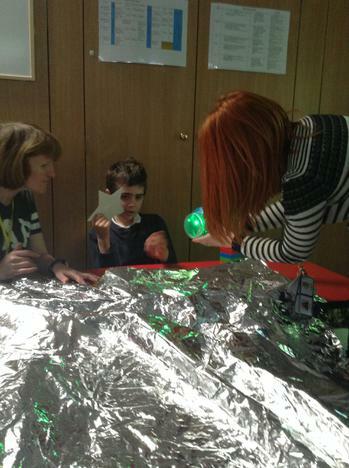 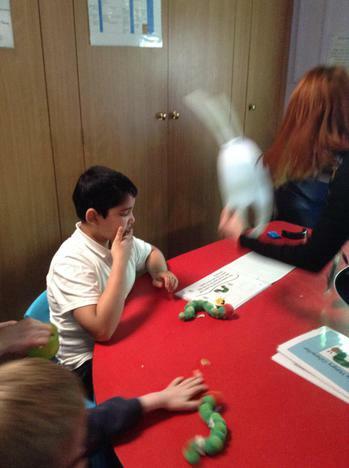 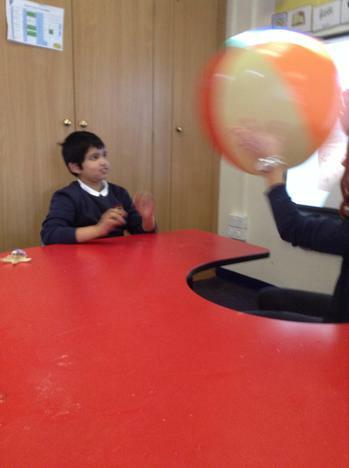 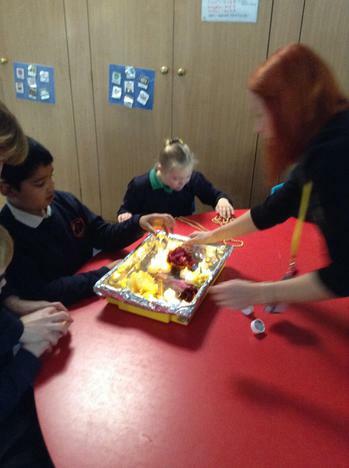 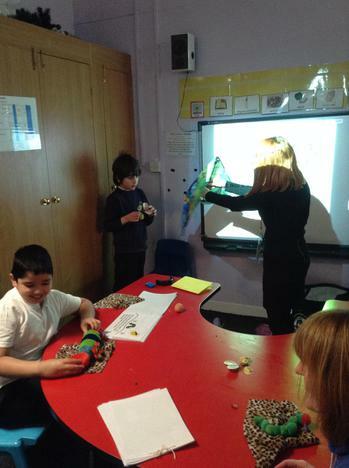 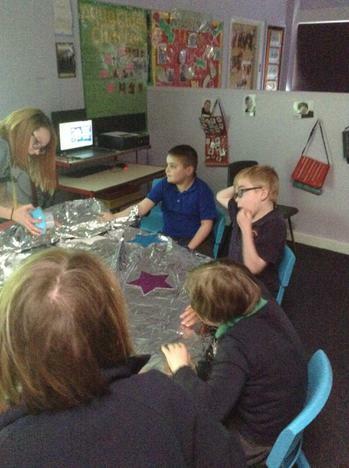 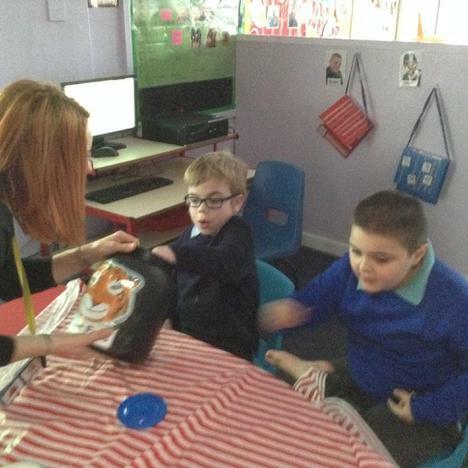 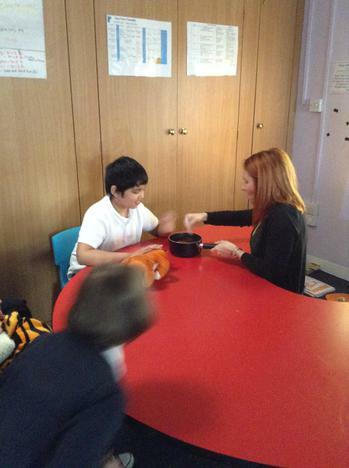 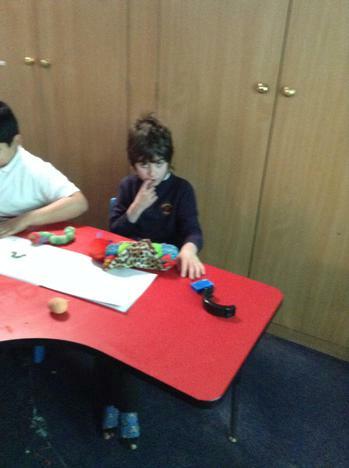 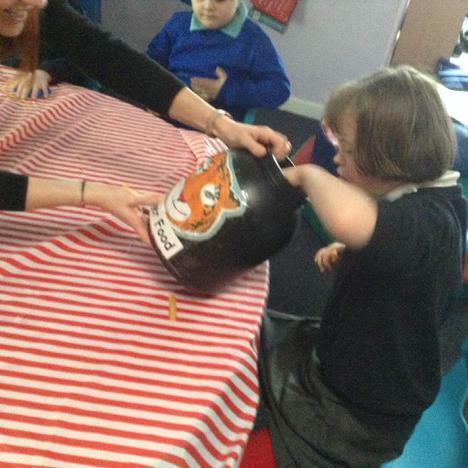 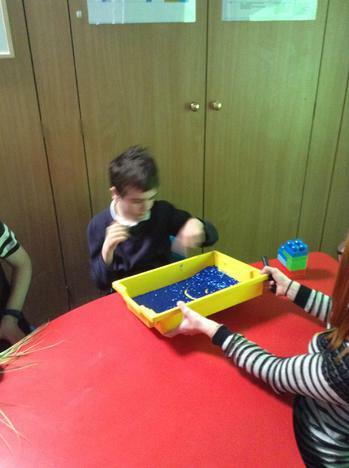 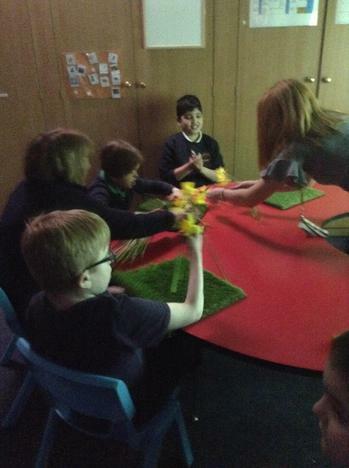 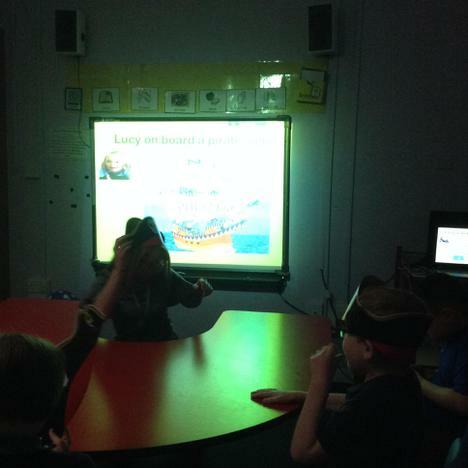 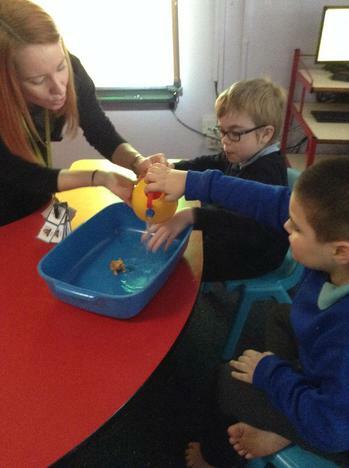 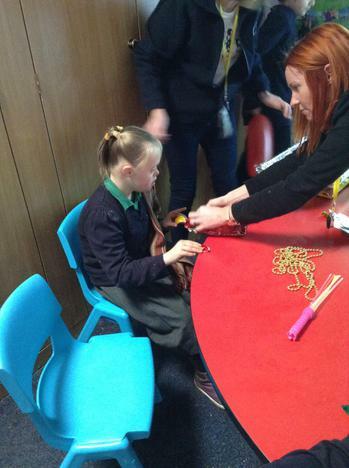 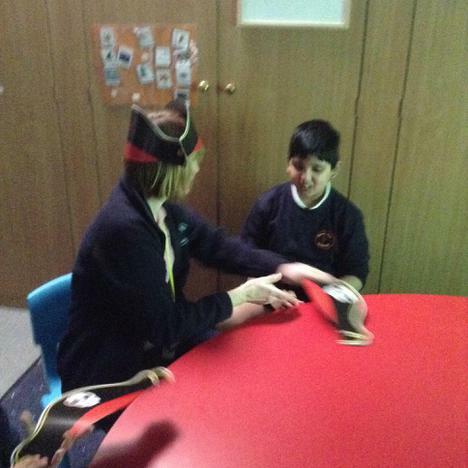 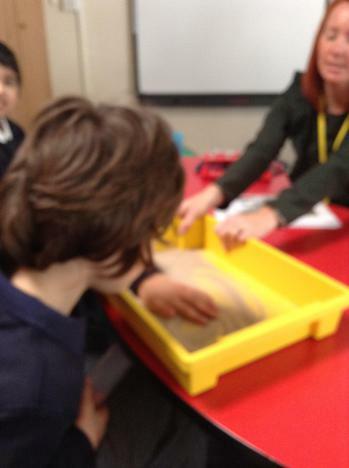 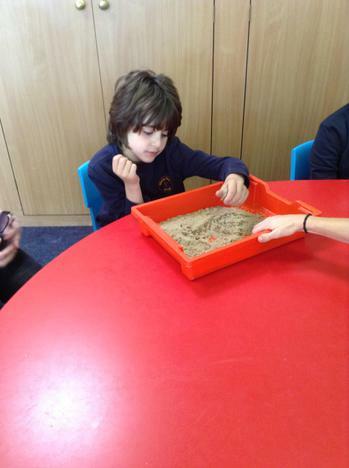 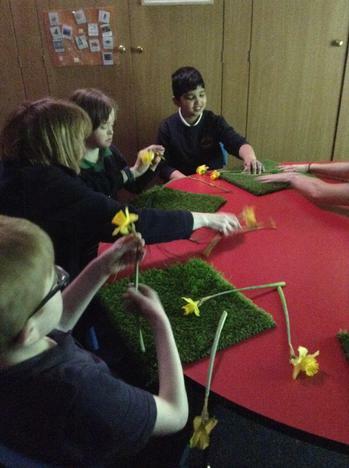 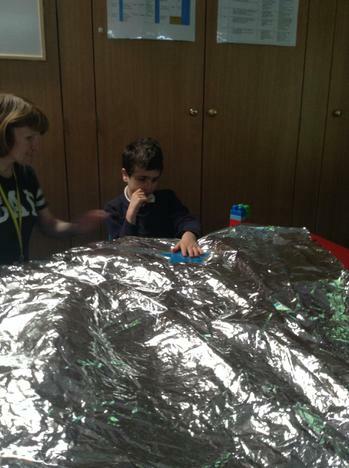 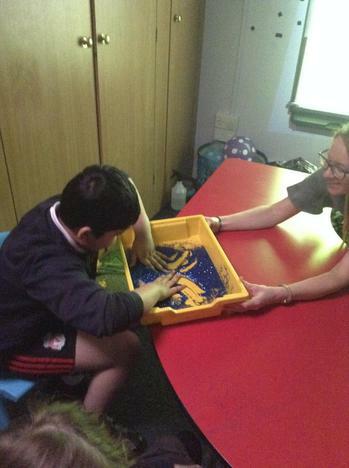 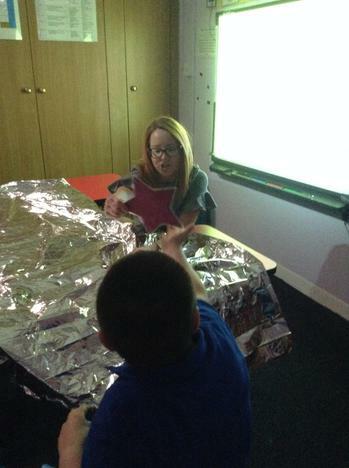 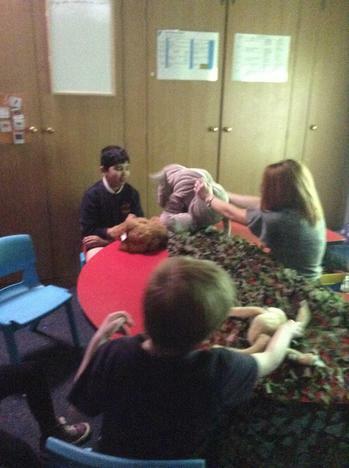 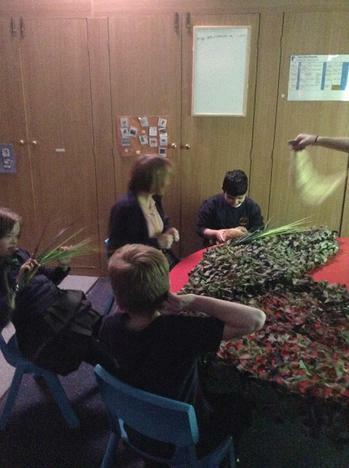 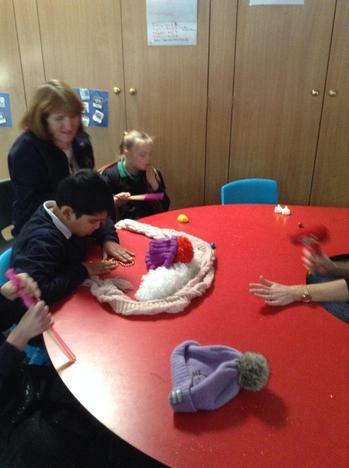 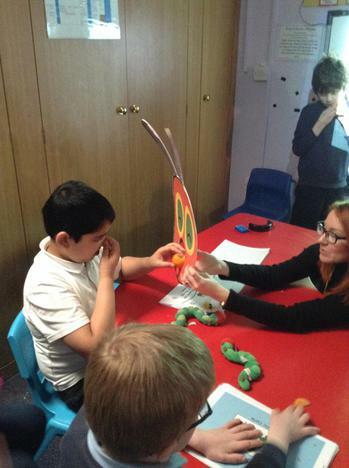 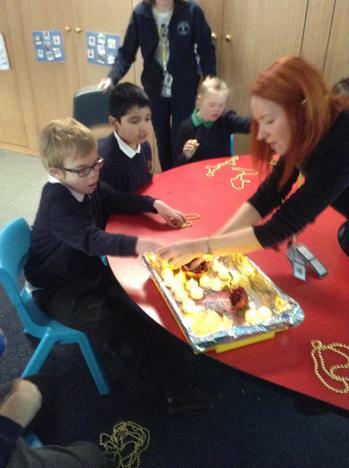 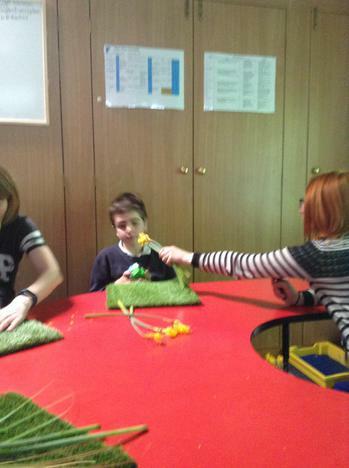 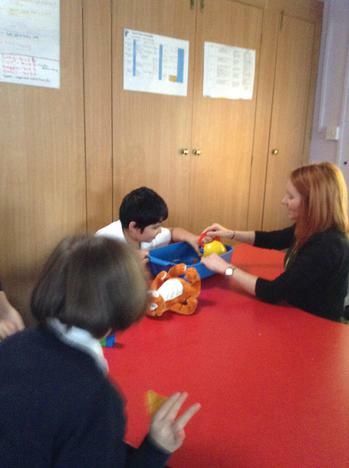 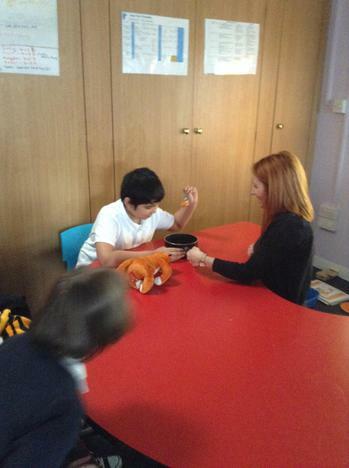 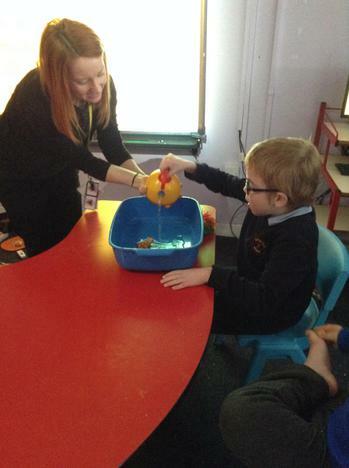 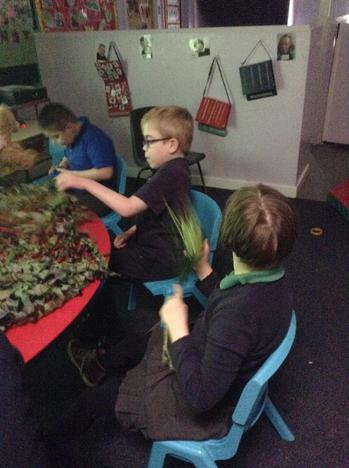 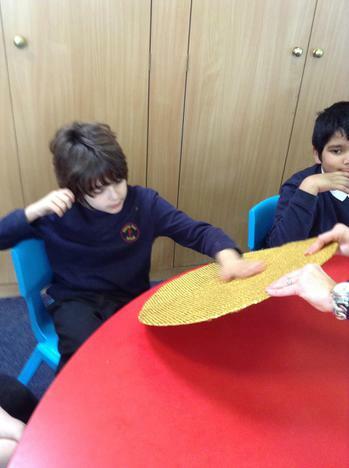 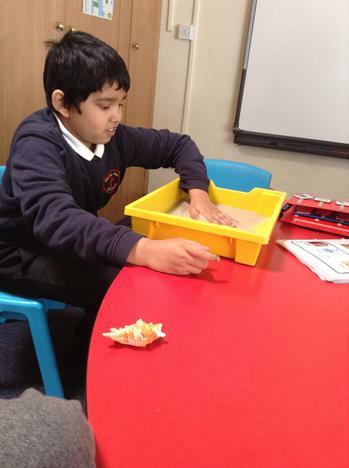 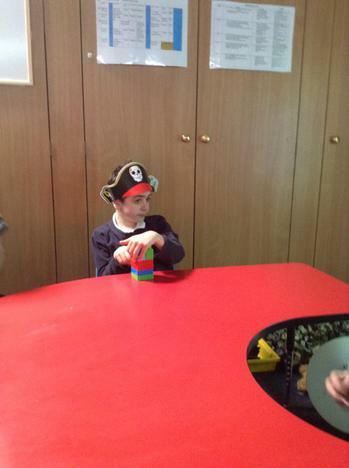 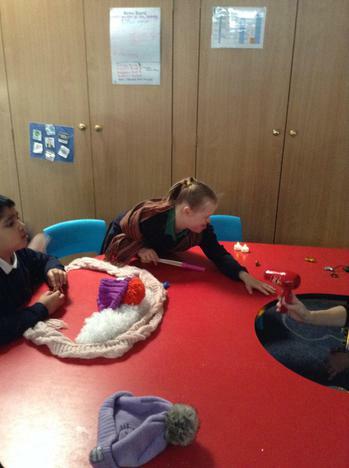 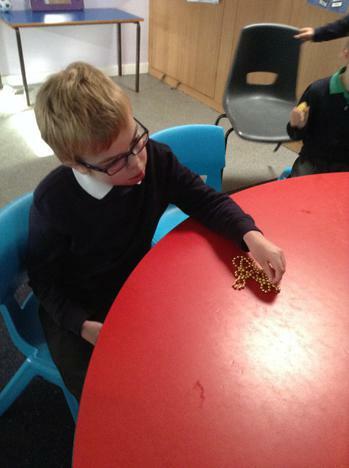 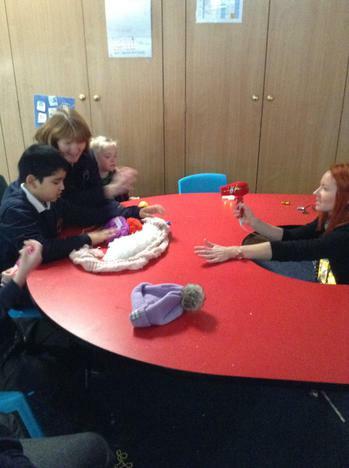 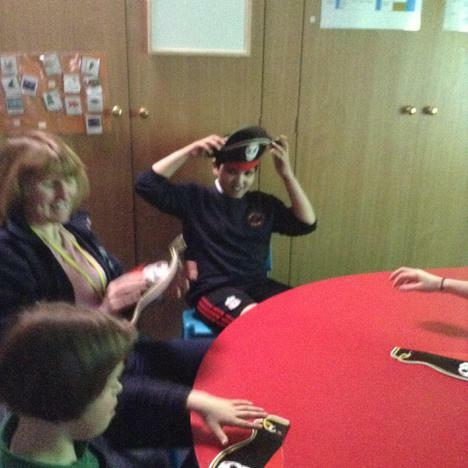 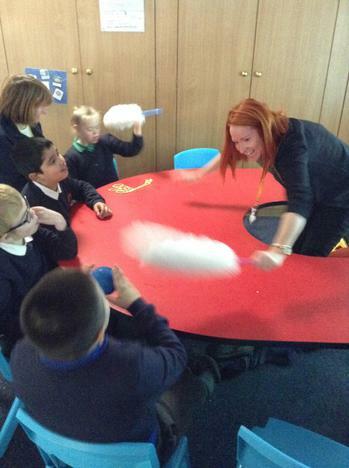 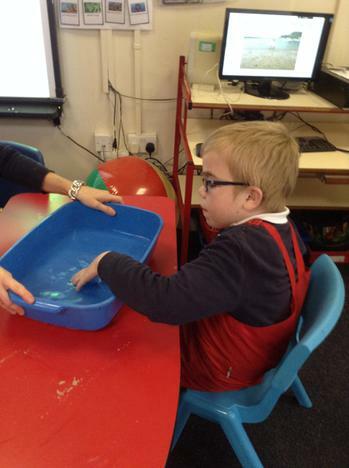 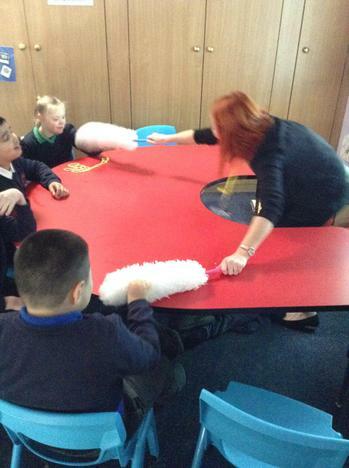 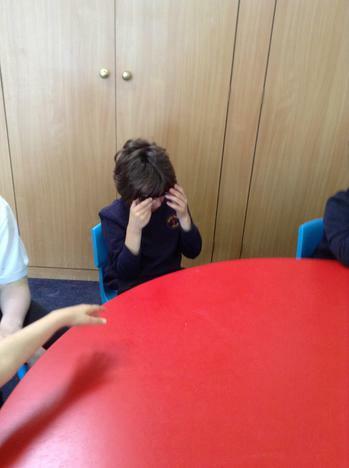 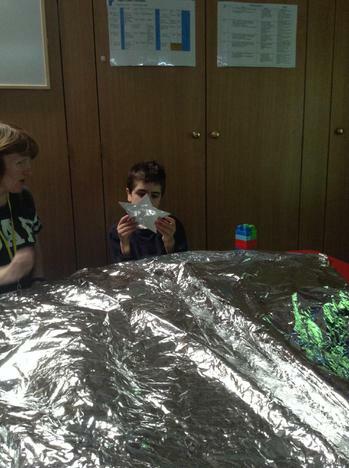 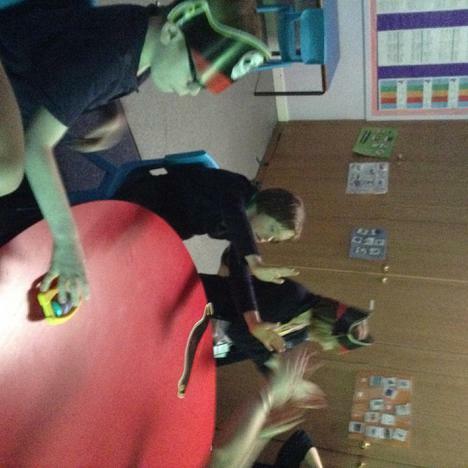 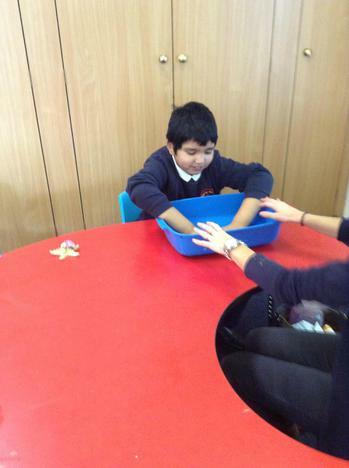 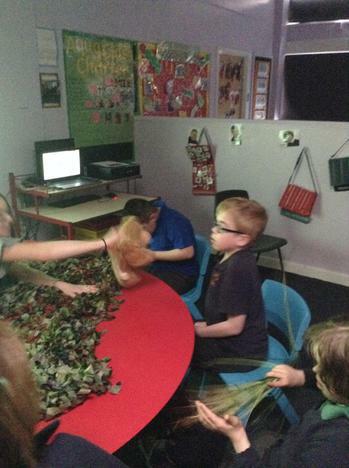 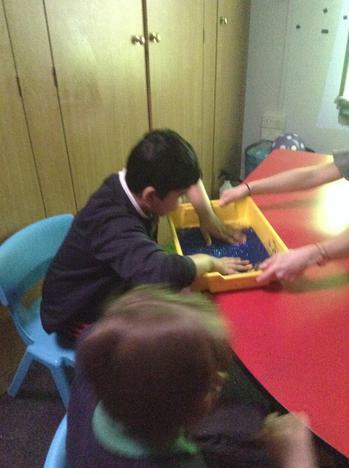 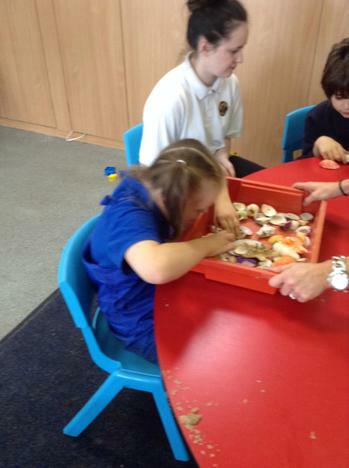 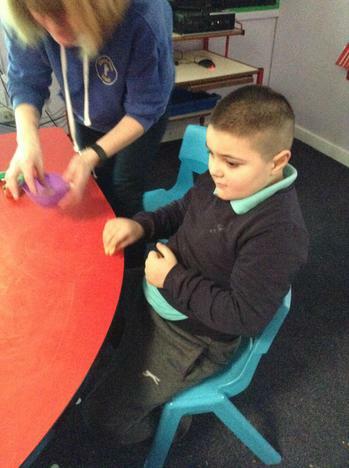 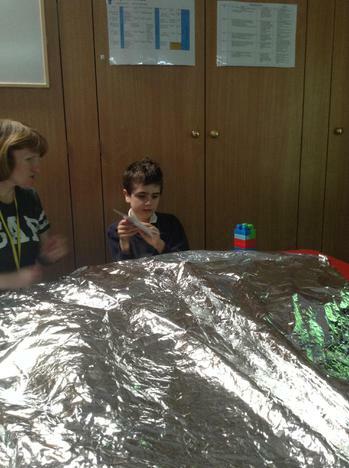 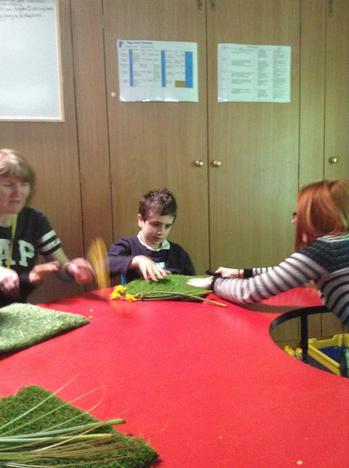 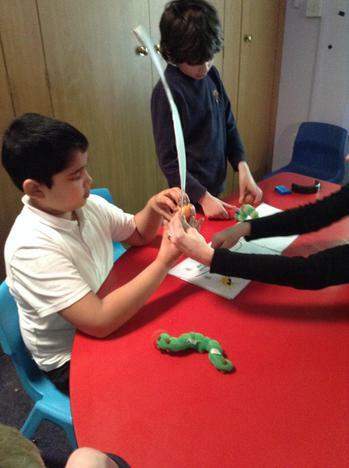 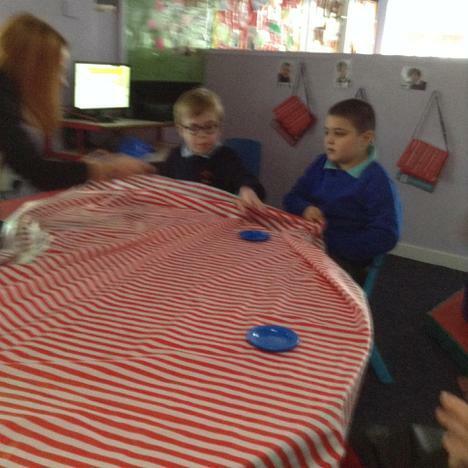 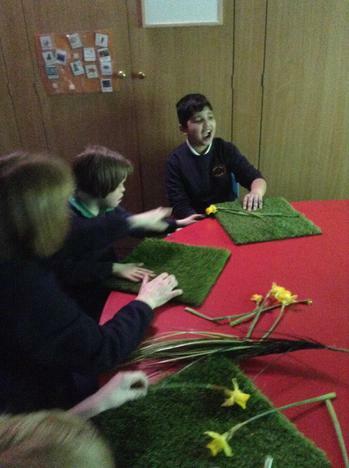 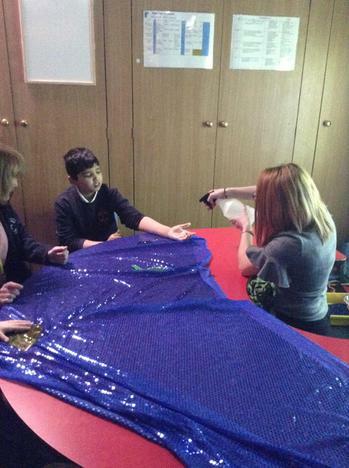 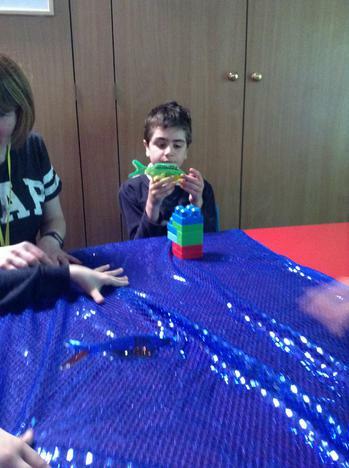 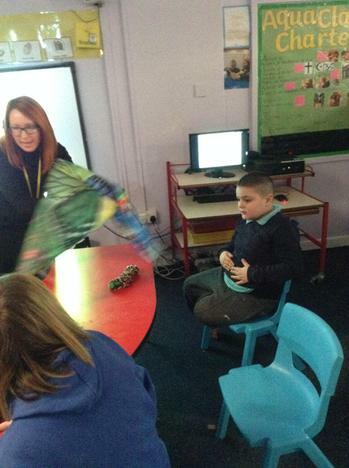 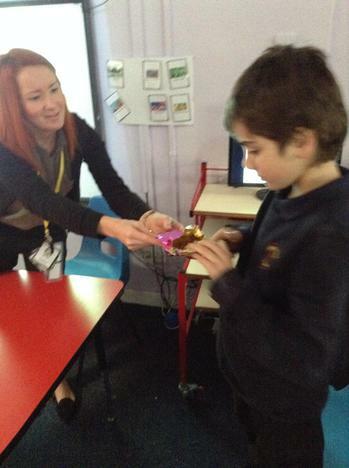 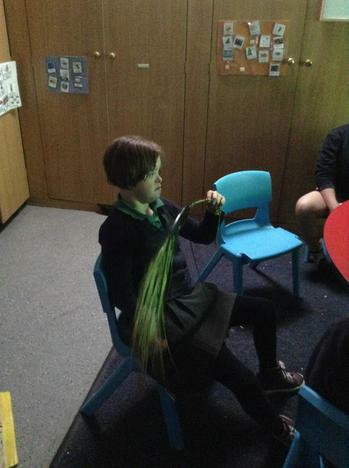 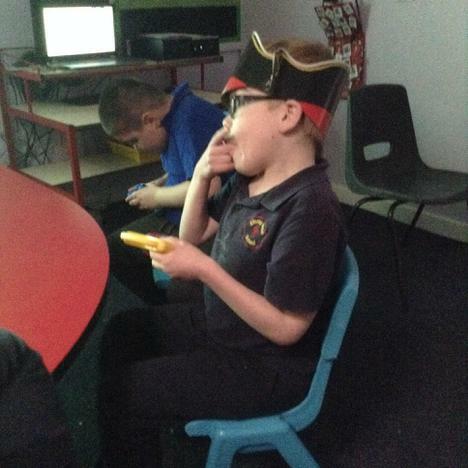 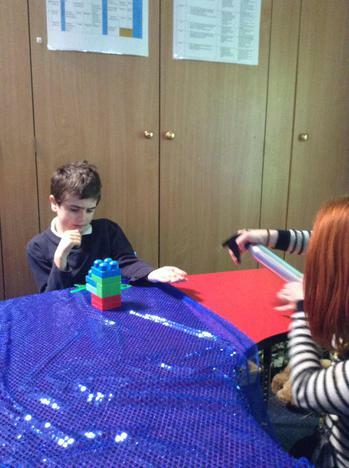 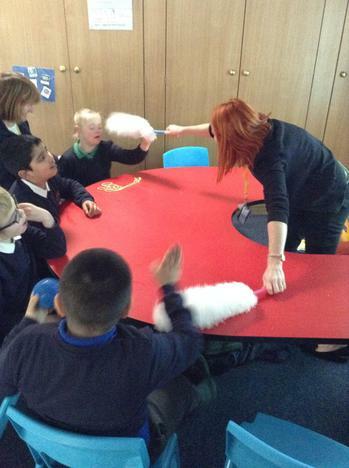 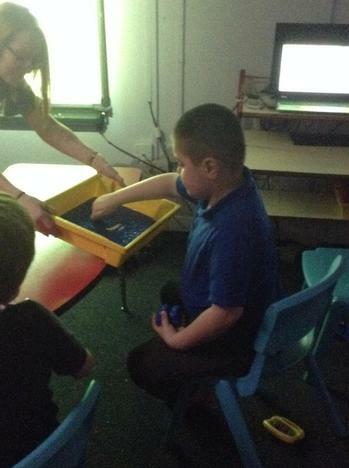 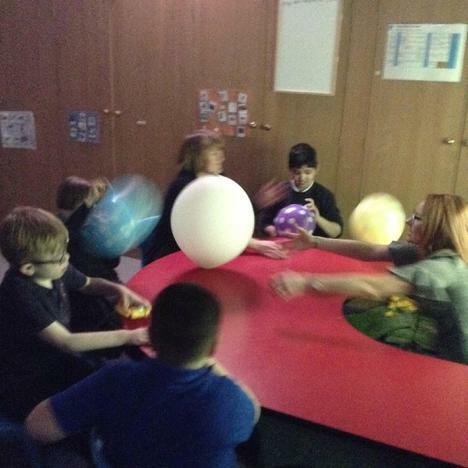 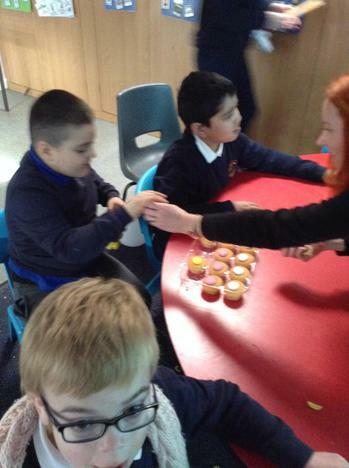 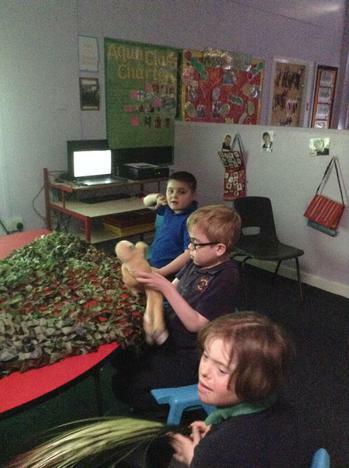 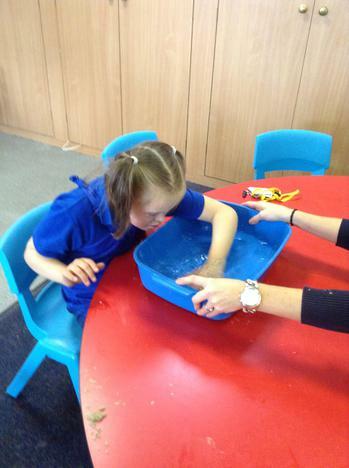 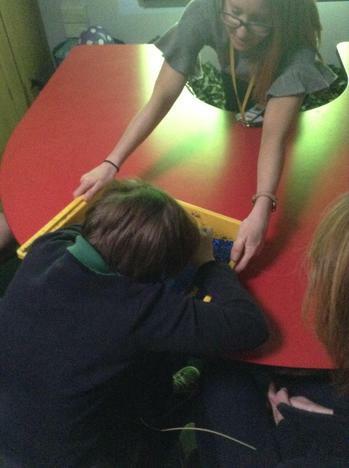 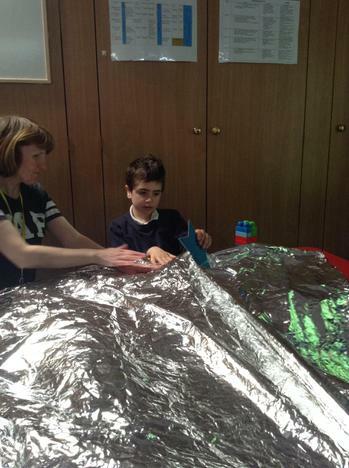 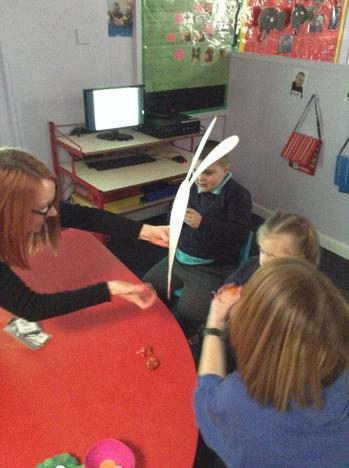 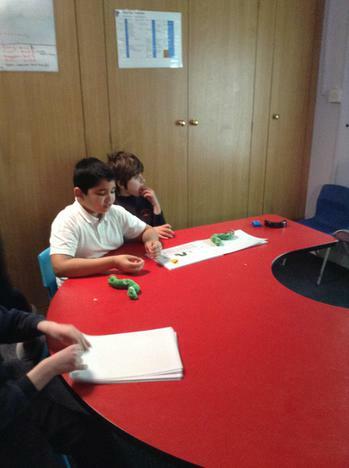 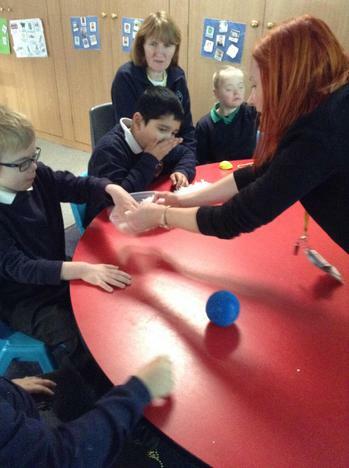 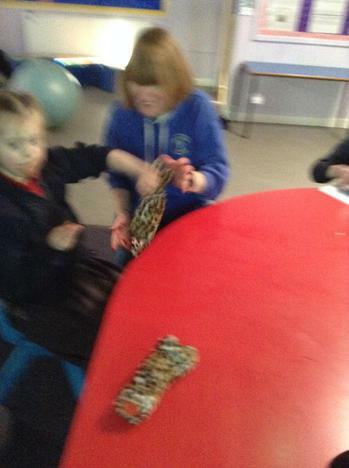 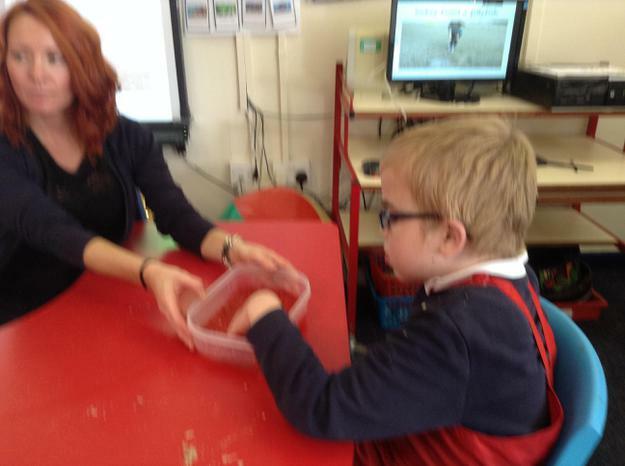 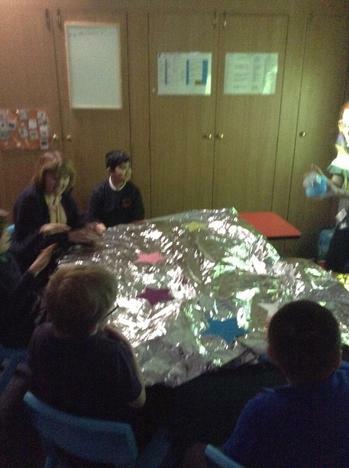 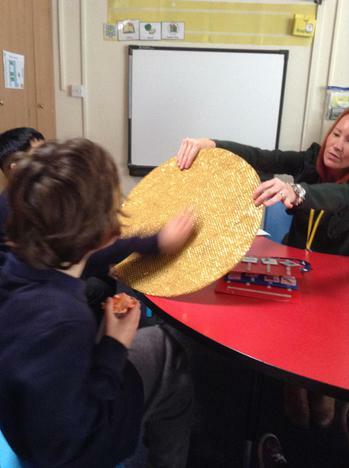 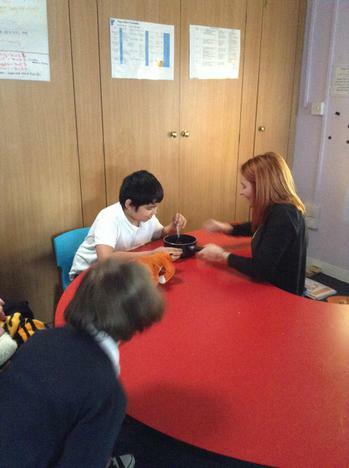 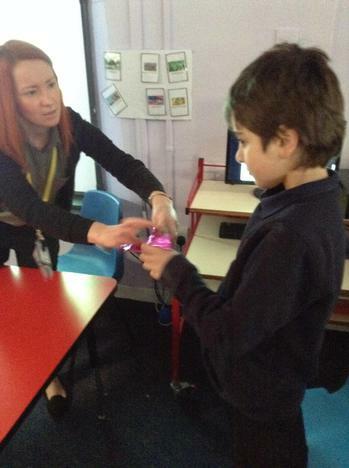 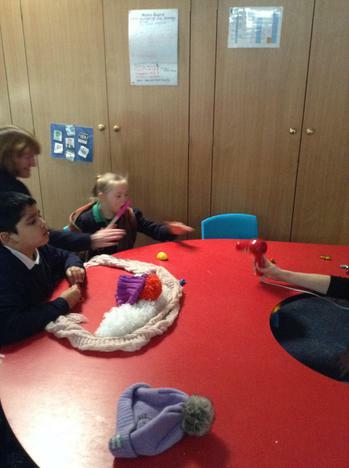 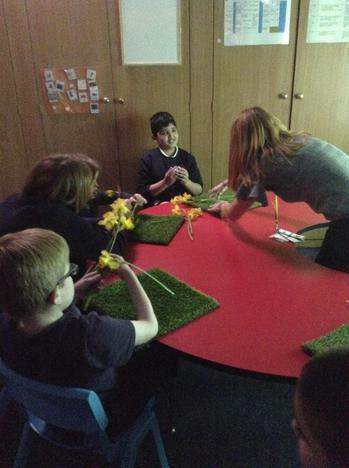 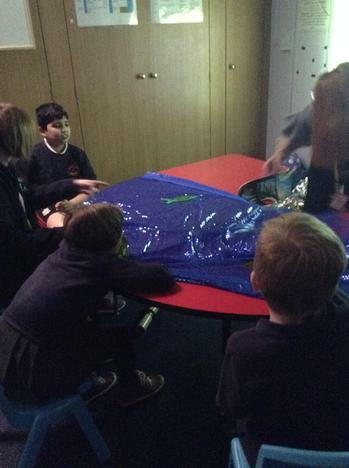 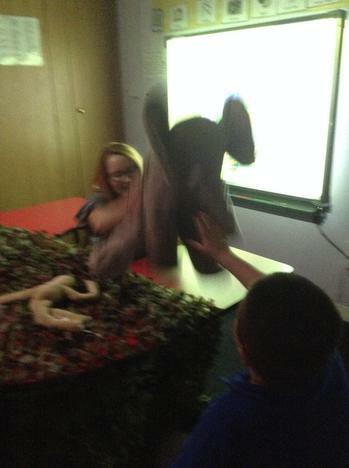 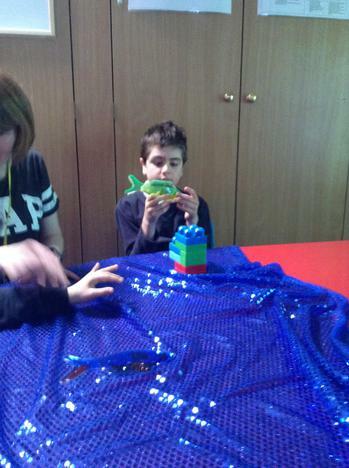 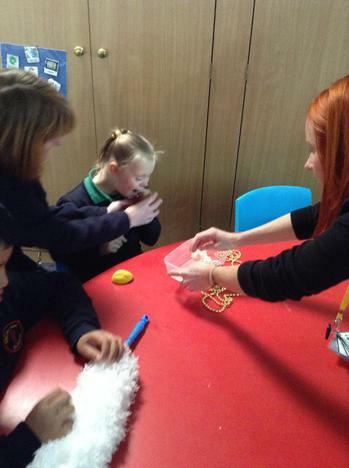 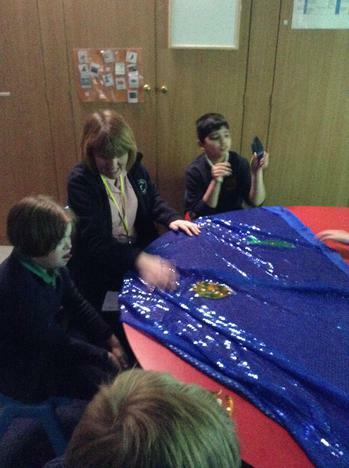 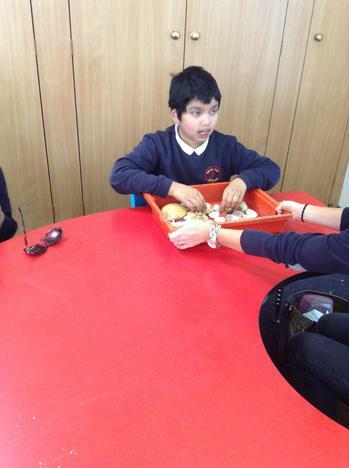 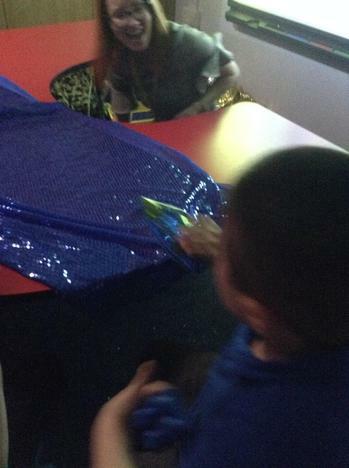 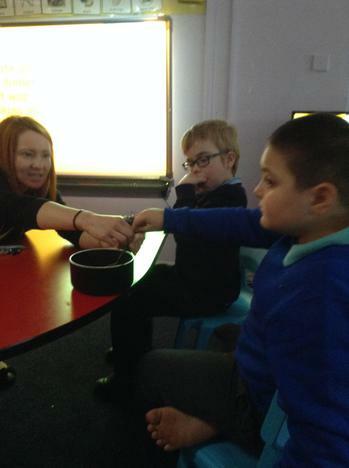 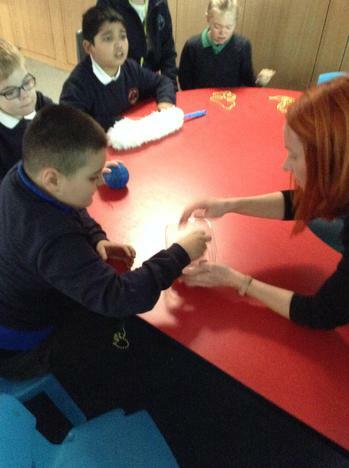 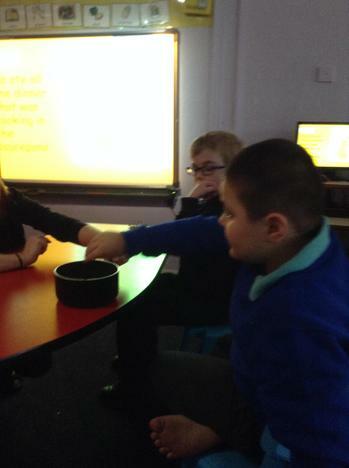 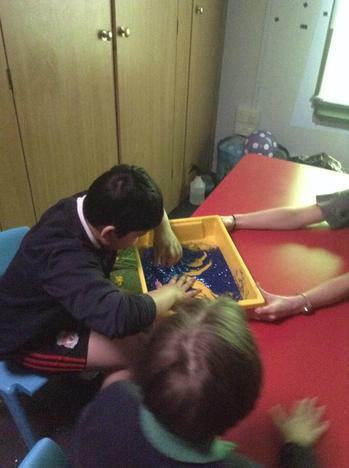 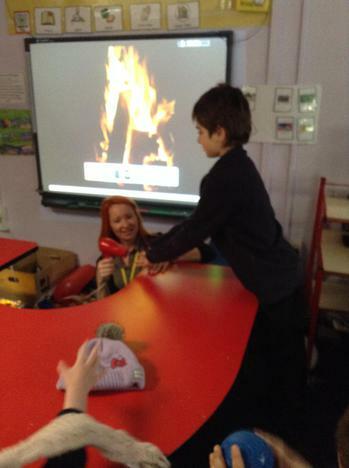 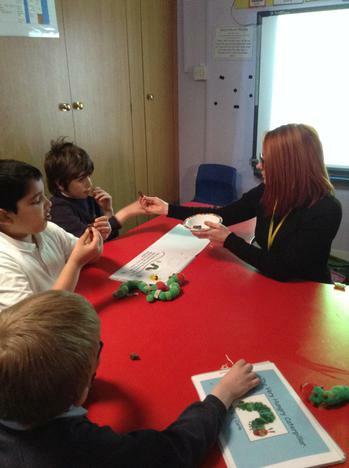 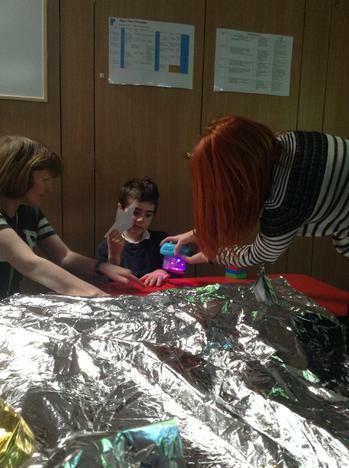 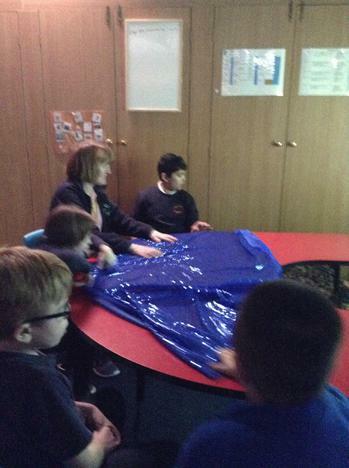 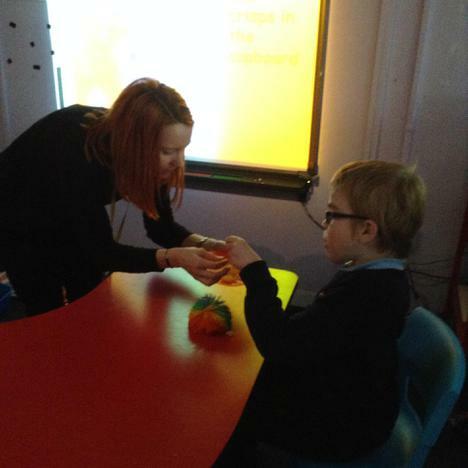 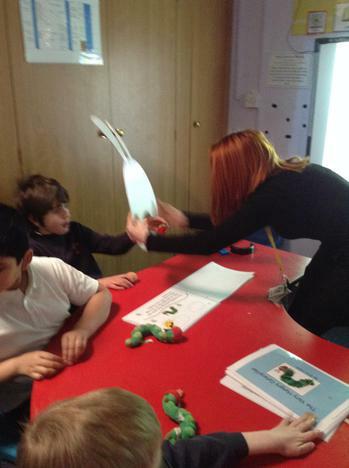 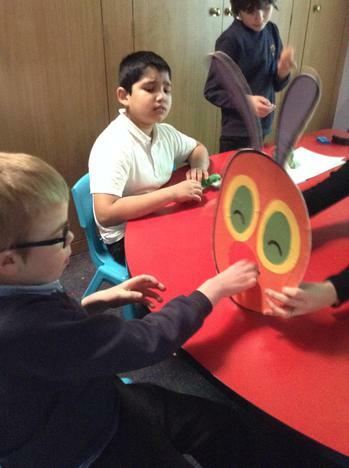 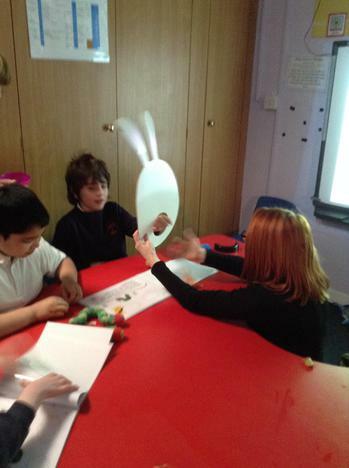 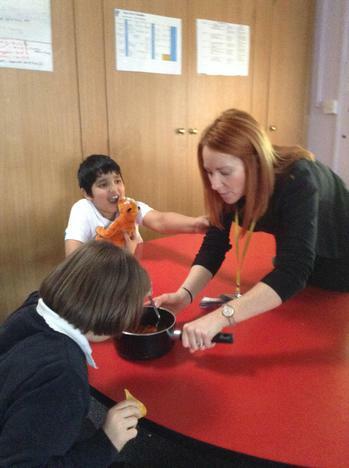 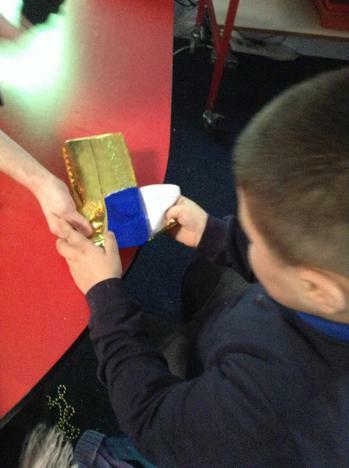 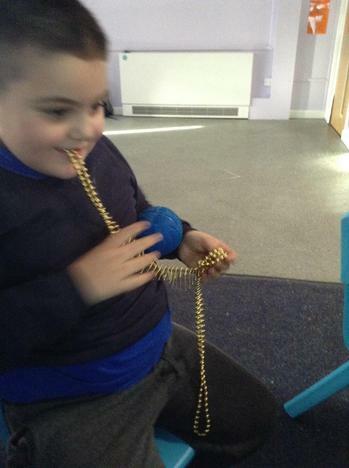 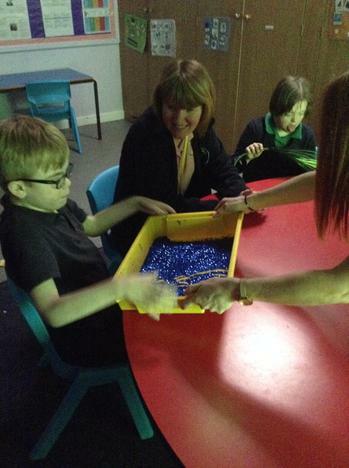 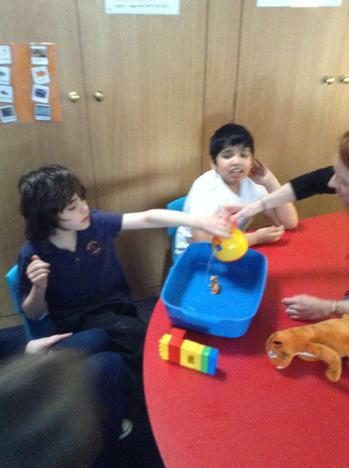 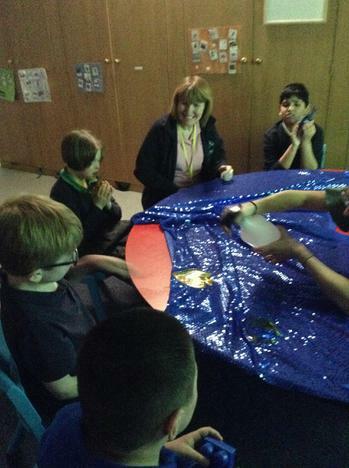 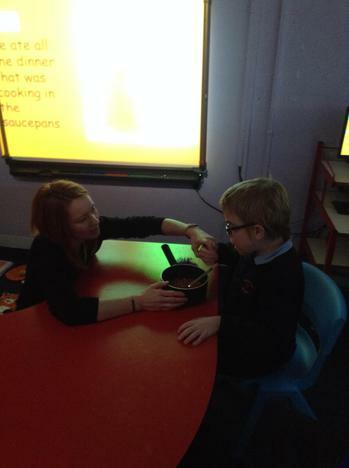 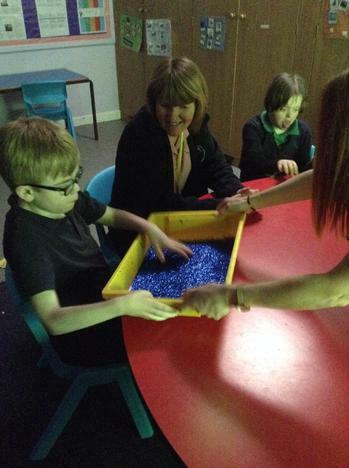 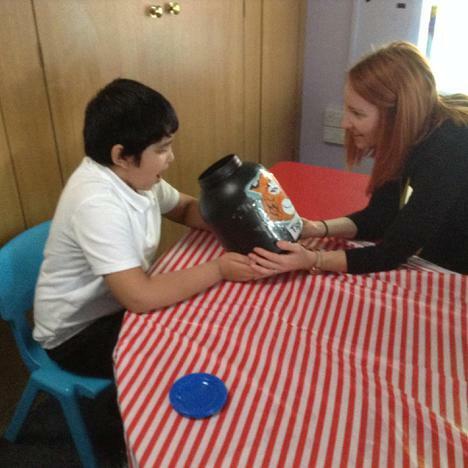 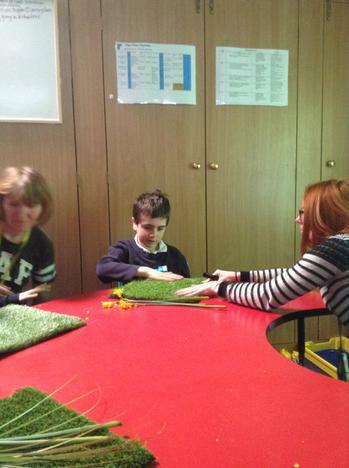 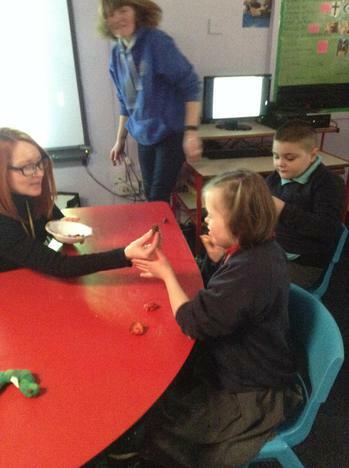 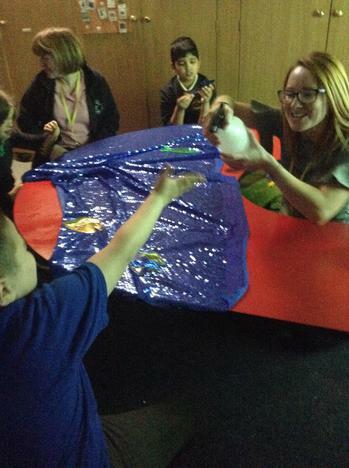 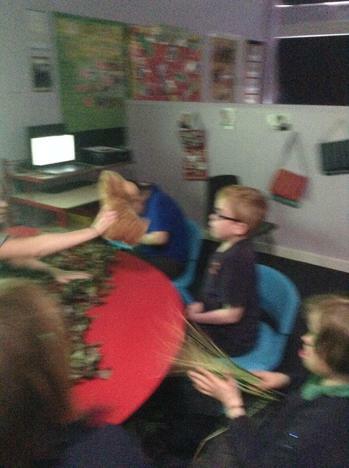 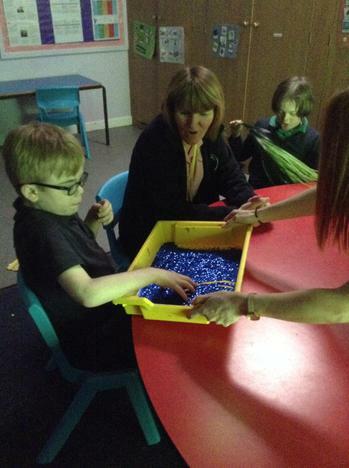 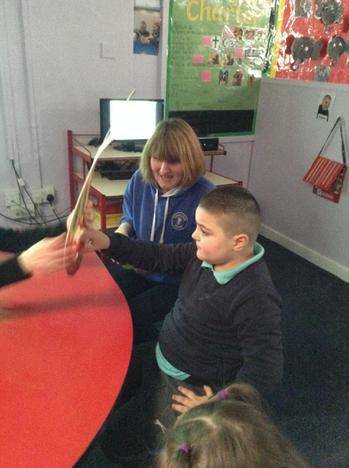 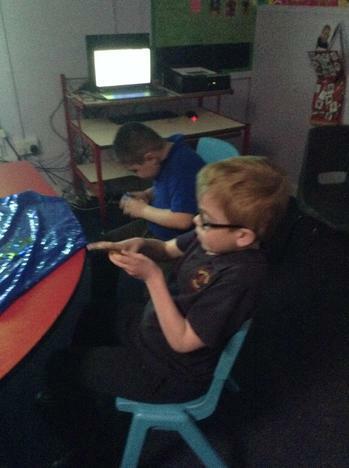 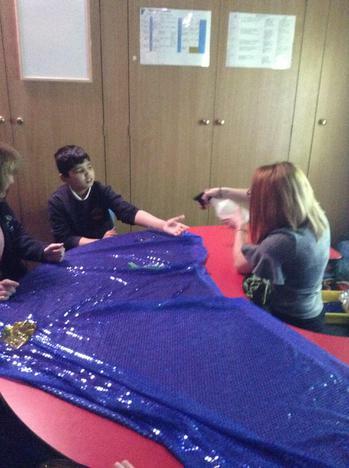 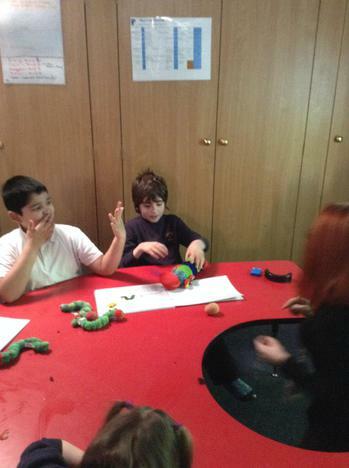 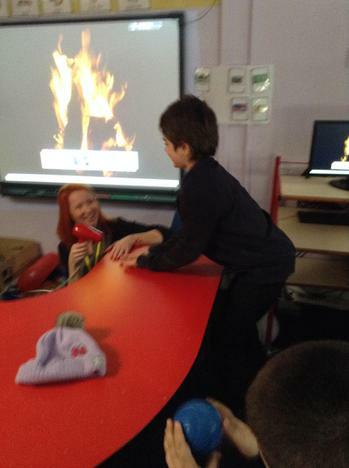 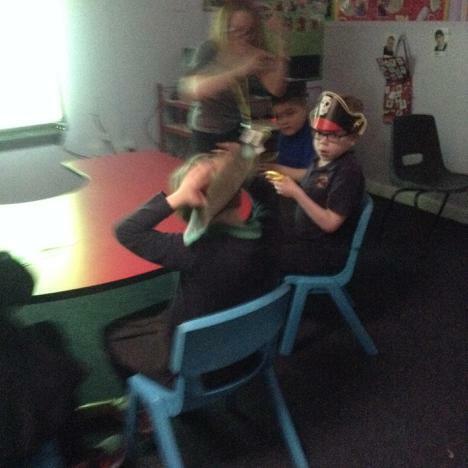 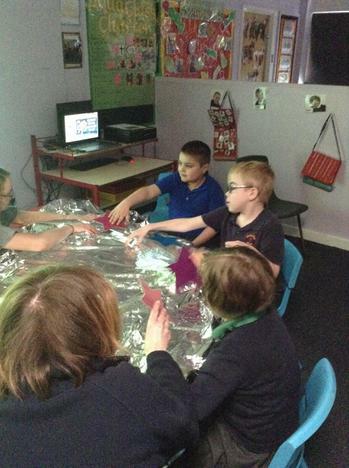 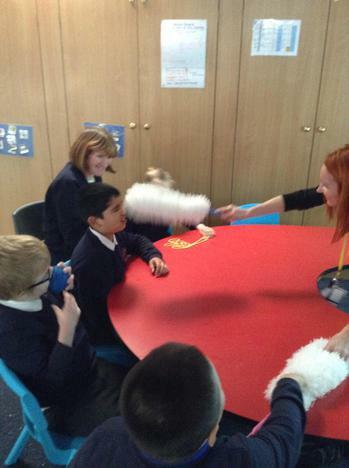 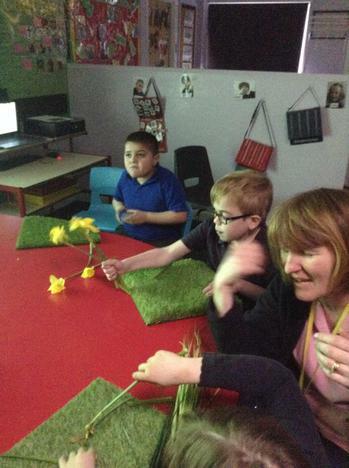 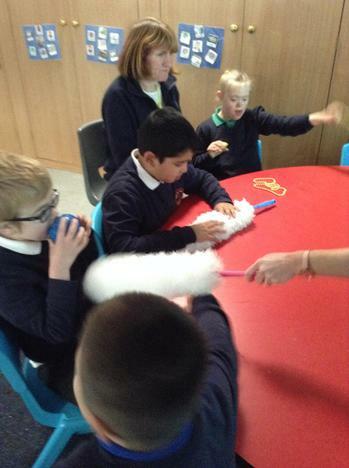 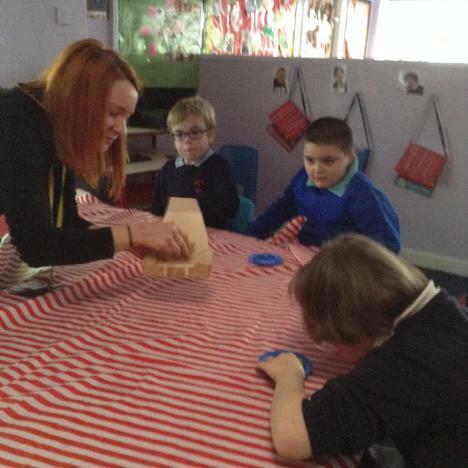 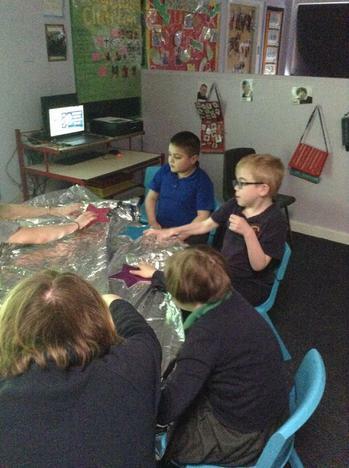 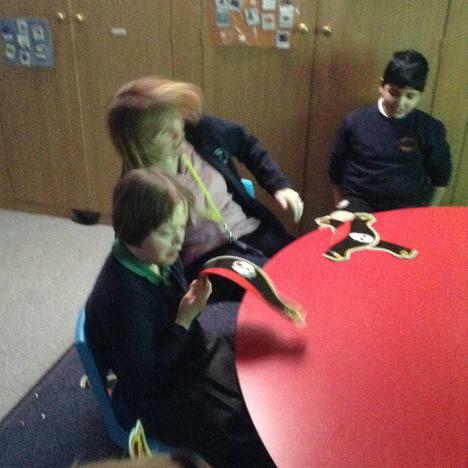 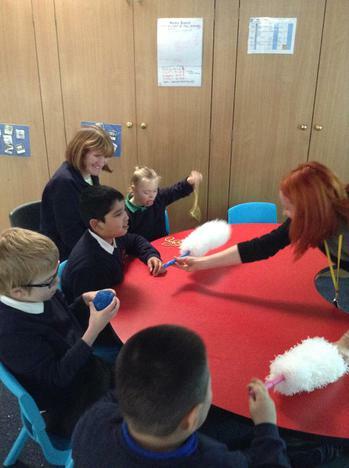 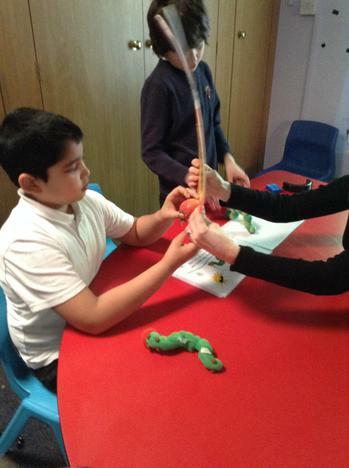 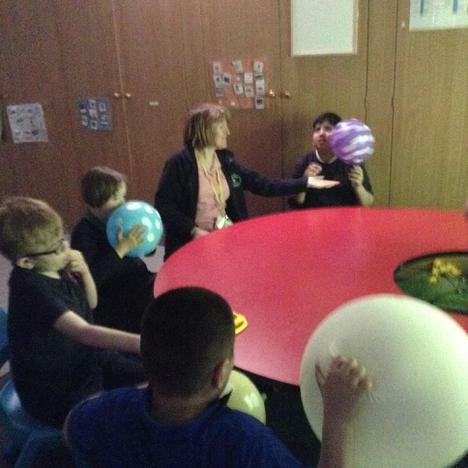 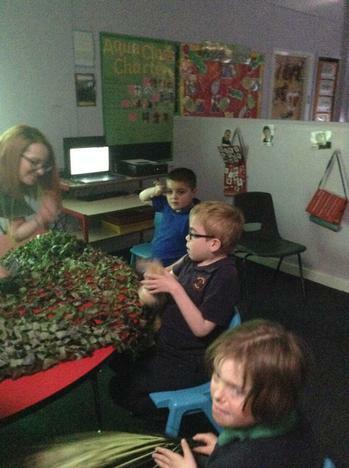 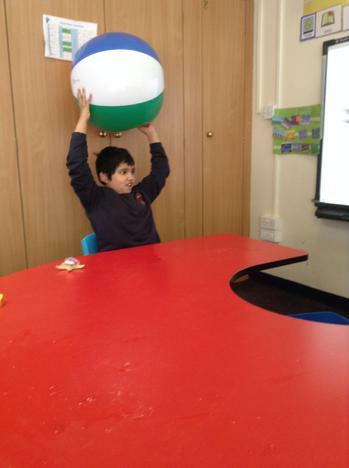 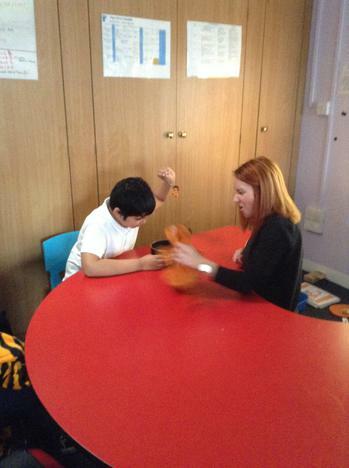 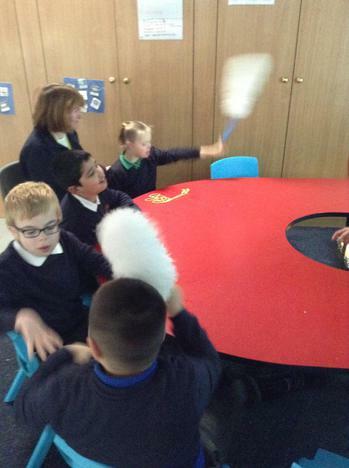 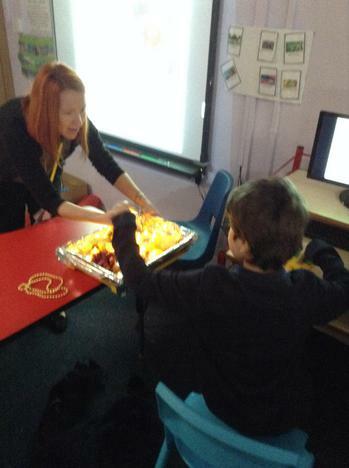 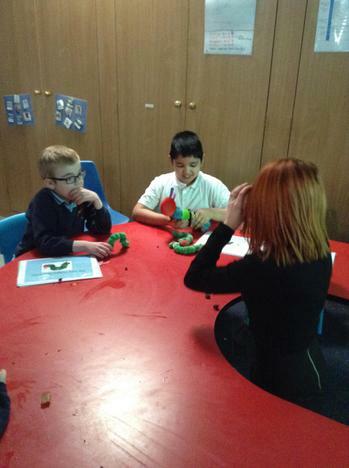 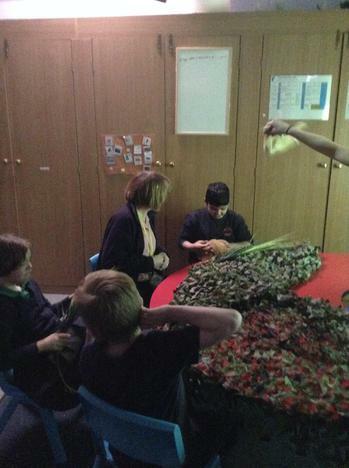 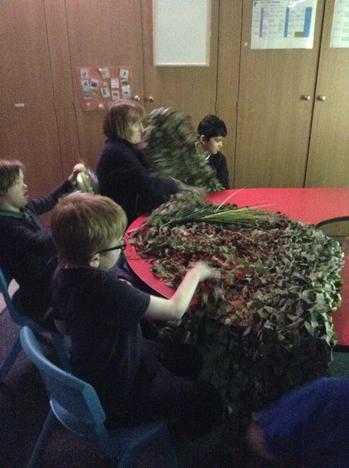 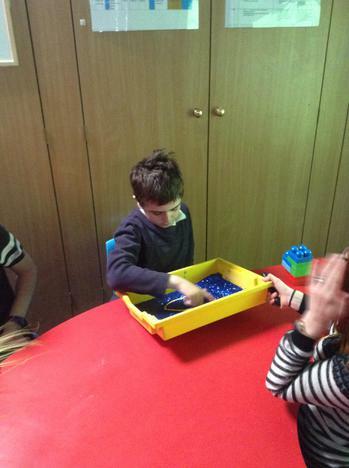 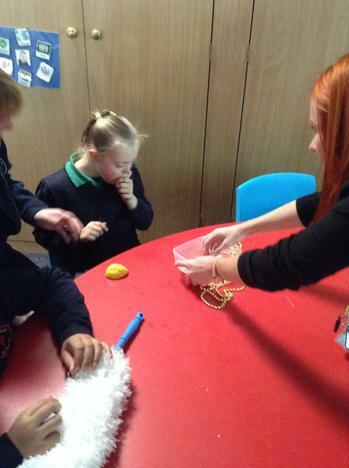 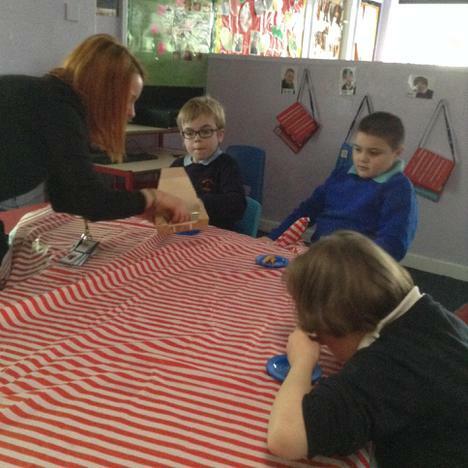 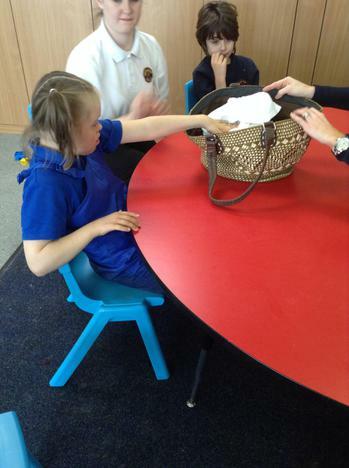 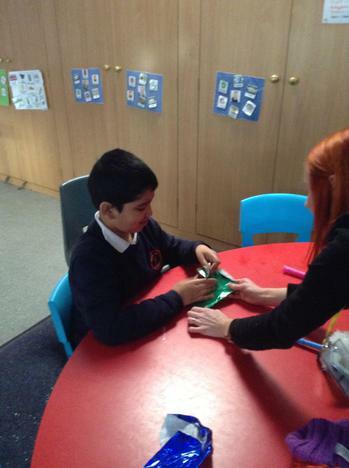 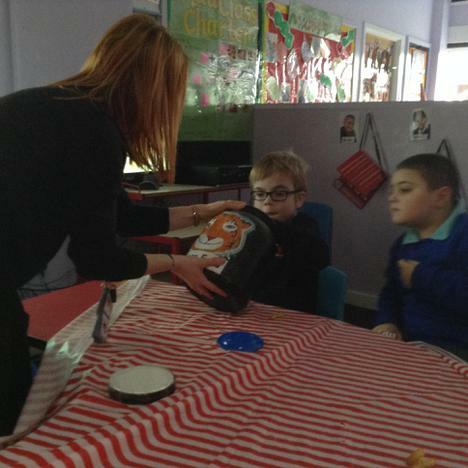 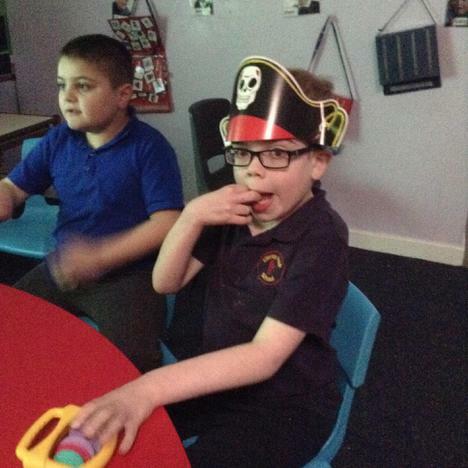 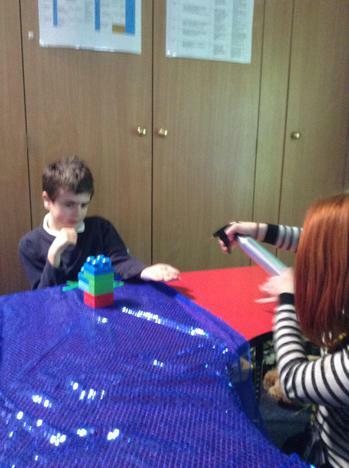 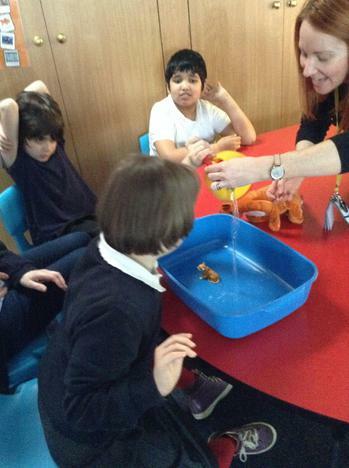 Sensory props are used throughout to help engage the children. 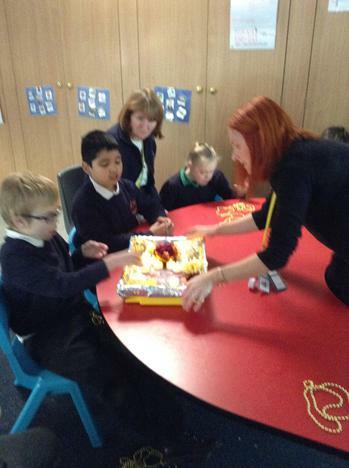 During Diwali there are jewellery beads to feel, Diwali sweets to taste and diva lamps to light. 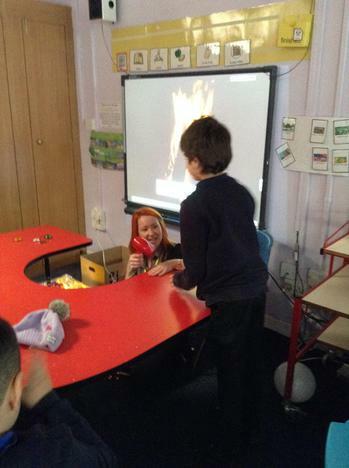 During Bonfire Night there are fireworks to watch and listen to, light up sparklers to feel and look at, hat and scarves to wear, hairdryer to feel the heat of the bonfire. 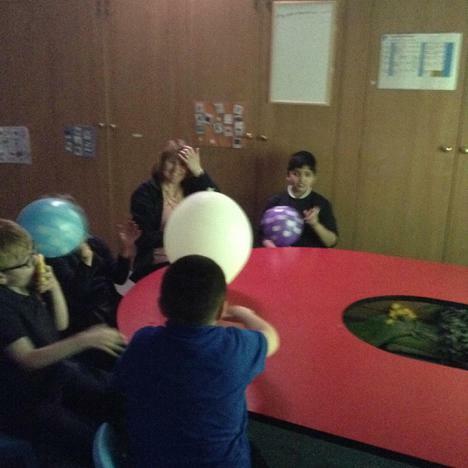 During birthday celebrations there are balloons to play with, a present to open, birthday cake to taste and music to dance to. 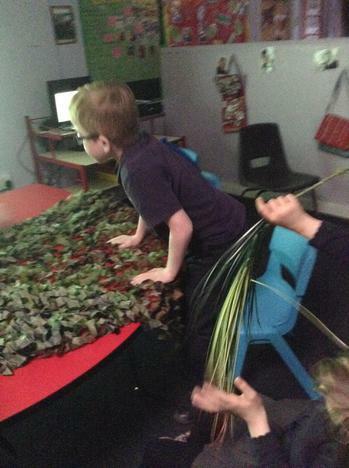 The children are beginning to respond to the story and are getting better at engaging with the sensory props and following instructions. 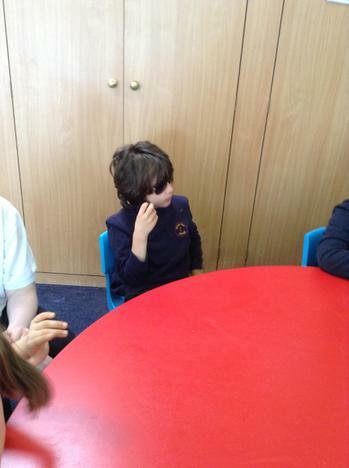 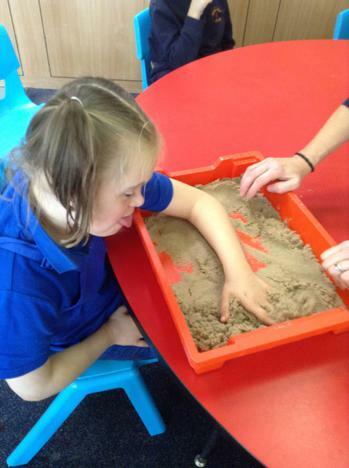 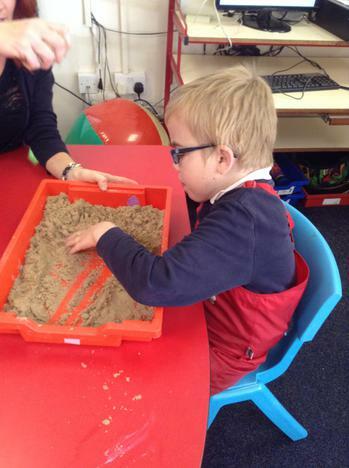 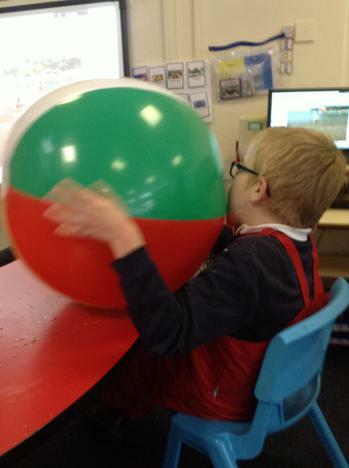 Our sensory story this term is called 'Vickey's day at the Seaside'. 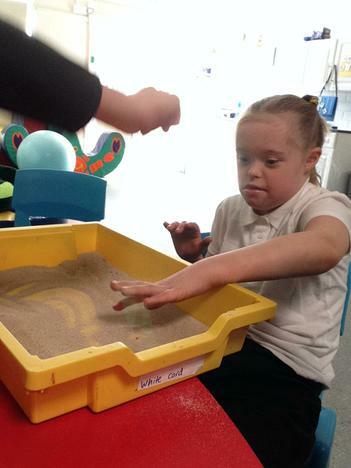 The story follows Vickey as she gets ready for a day at the seaside and it explores many of the sensory elements of the beach, such as feeling the sand, splashing in the water, finding some shells and eating a picnic. 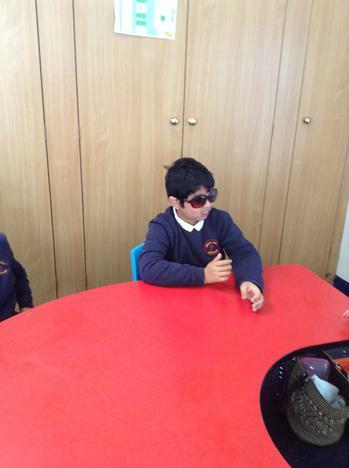 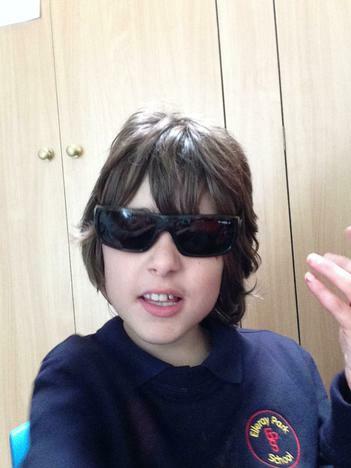 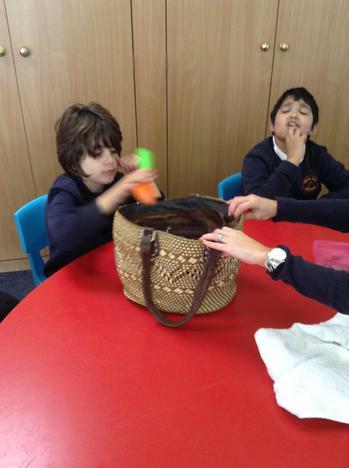 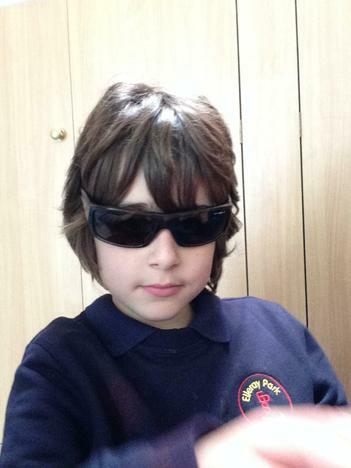 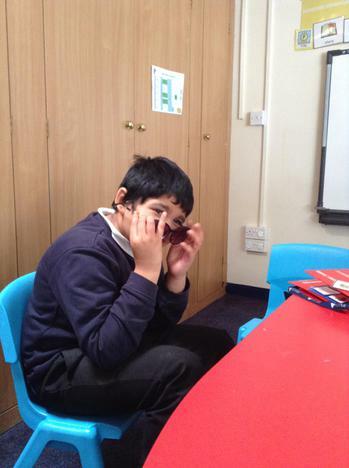 The story is repeated 3 times a week so the children have become used to the routine of it and are now beginning to anticipate and respond to the different props used, such as putting the sunglasses on their eyes or packing the items in the beach bag with much more independence. 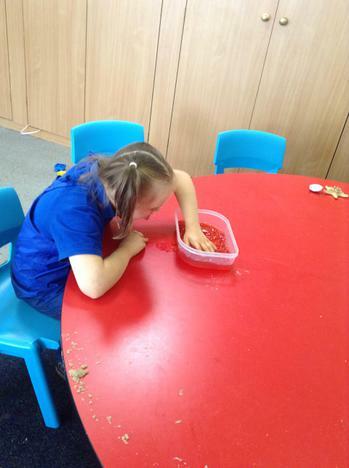 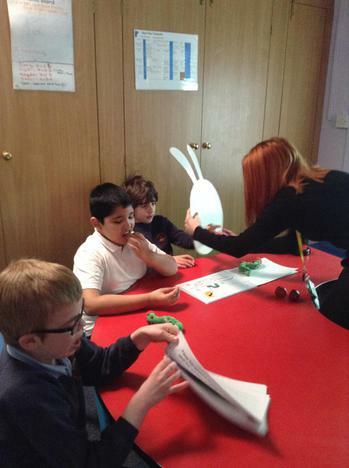 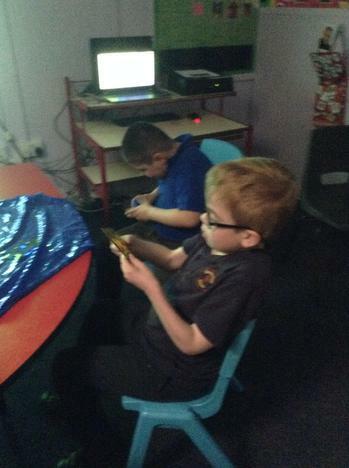 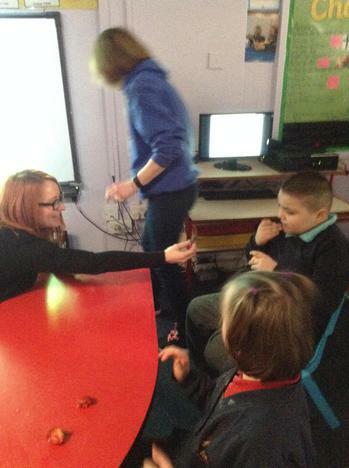 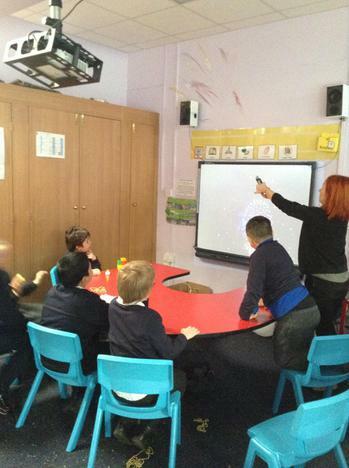 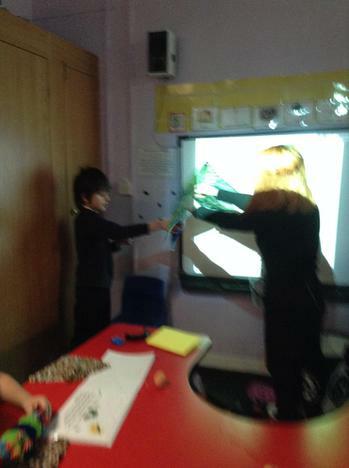 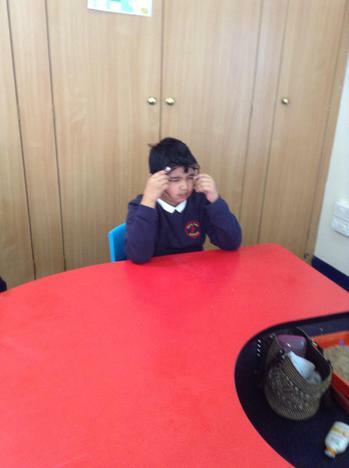 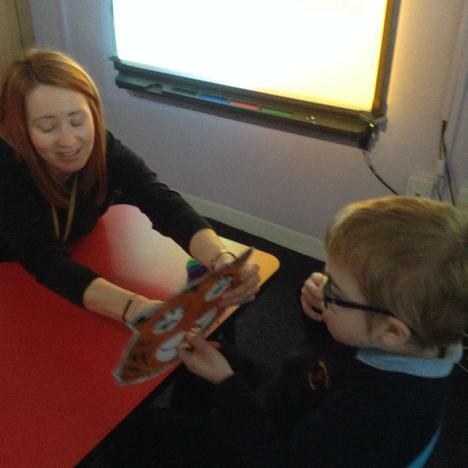 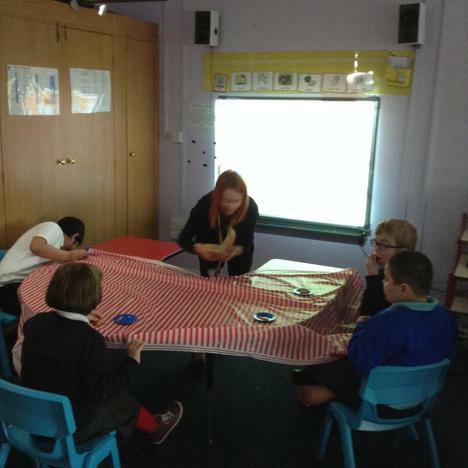 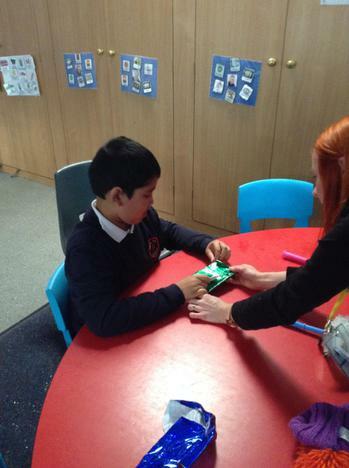 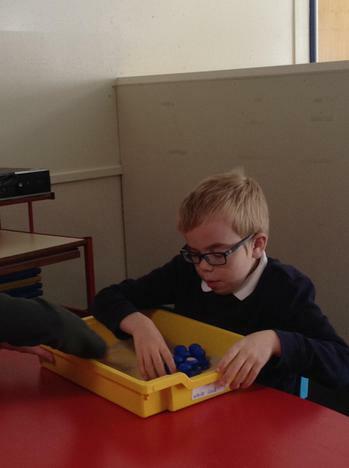 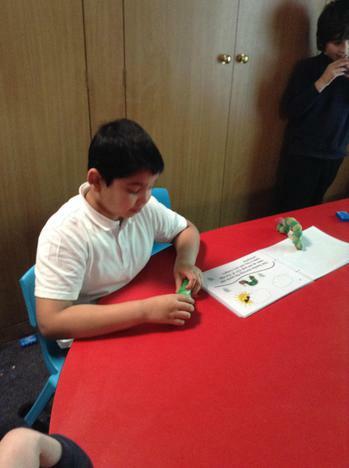 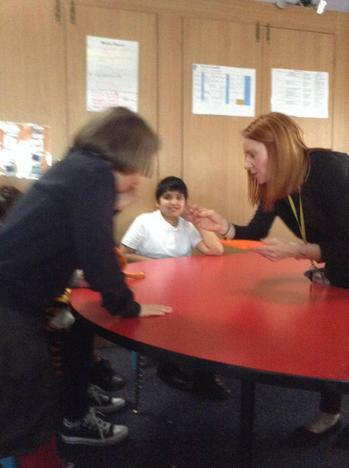 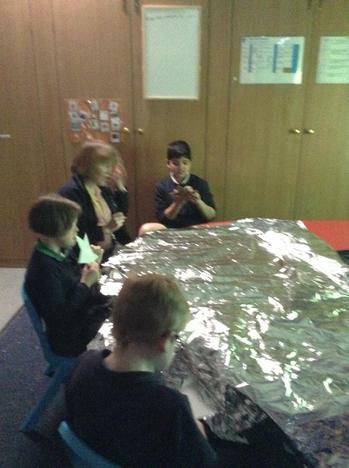 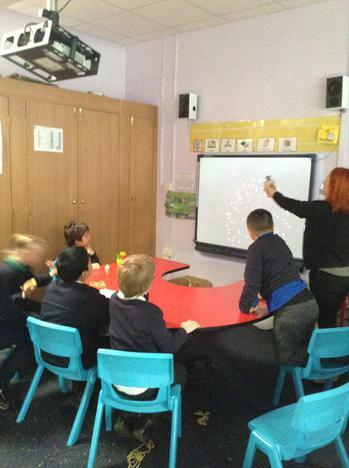 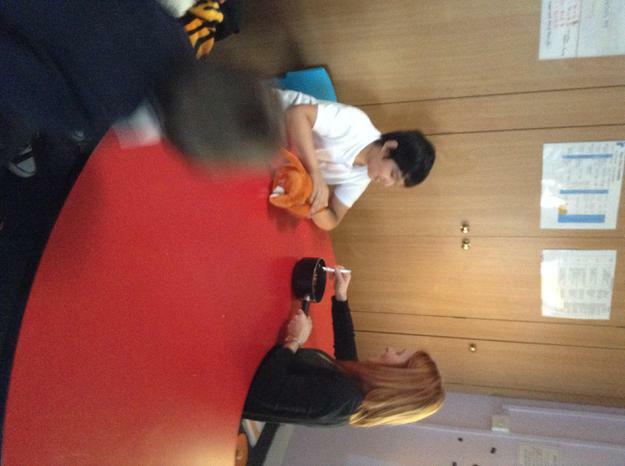 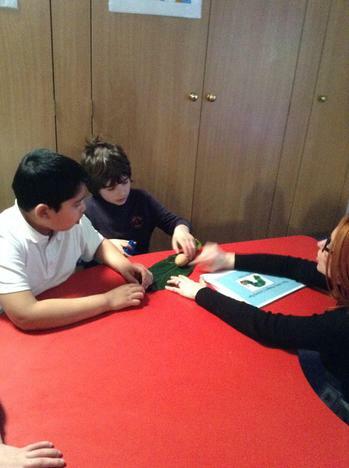 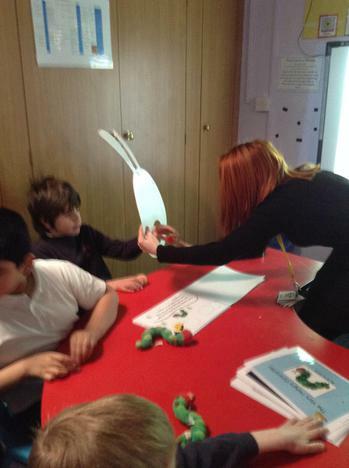 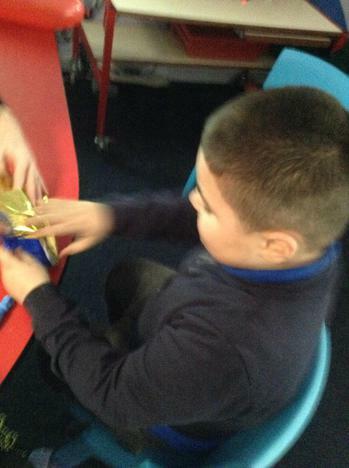 The children have also been working on following instructions and taking turns during these sessions.